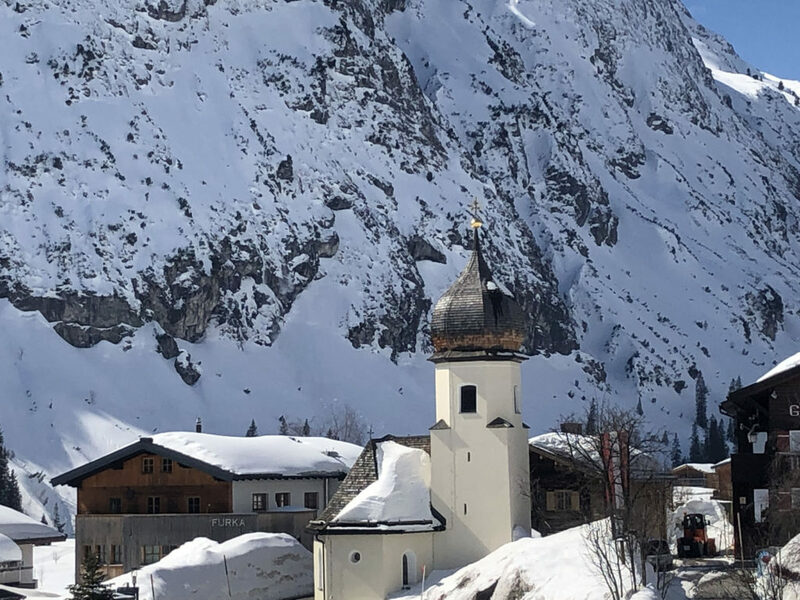 St Anton am Arlberg is historic and charming with must-ski terrain for any skier that loves extraordinary scenery, alpine heritage, big mountain skiing, luxury lodging and après ski fun. 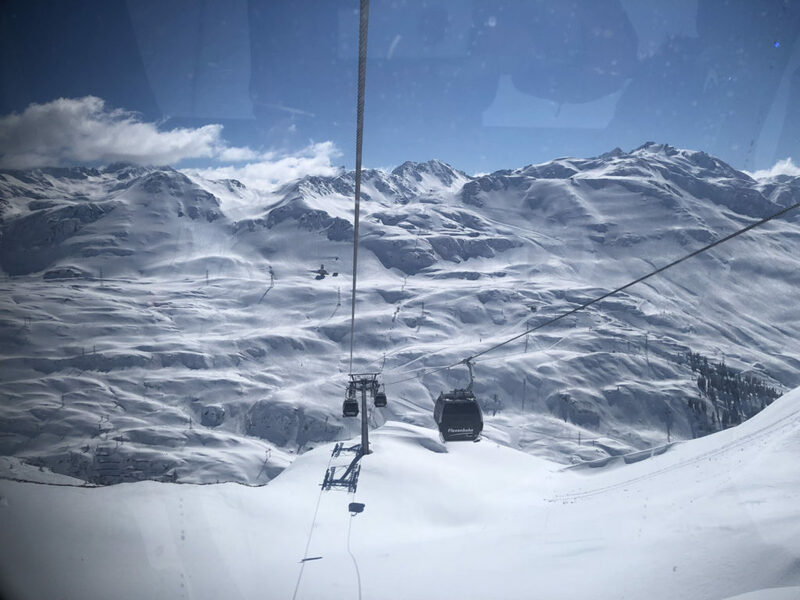 St Anton is one of the top ski resorts in the world, part of Austria’s vast Arlberg ski region with 88 lifts and over 305 kilometers – all interconnected with modern lifts to St Christoph and Stuben, Lech and Zurs, to Warth, 8 ski villages – all on one lift pass. 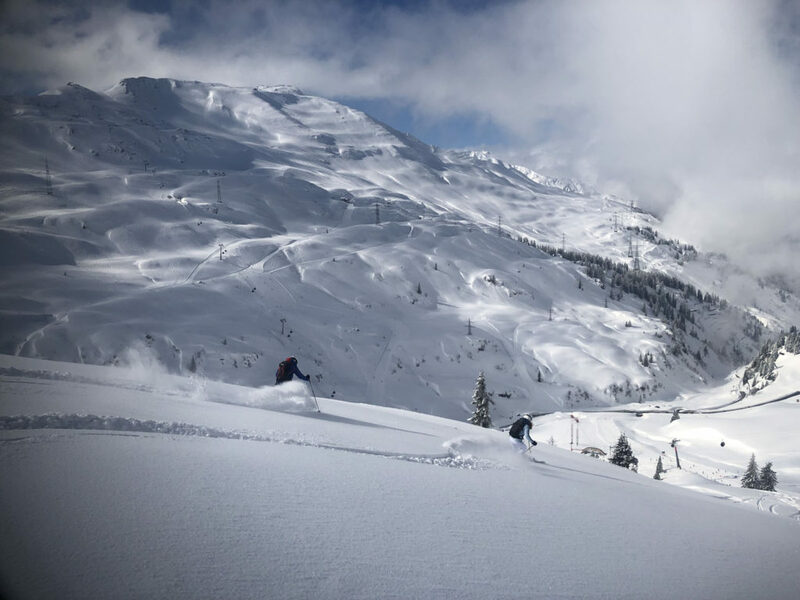 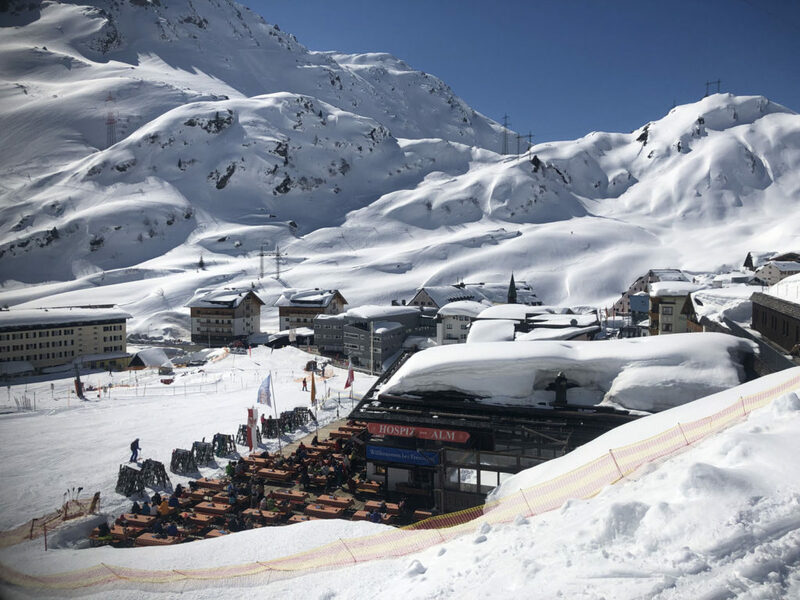 Ski Arlberg is Austria’s largest ski region, and St Anton is a perfect destination to stay in the heart of it all while exploring all this skiing terrain. 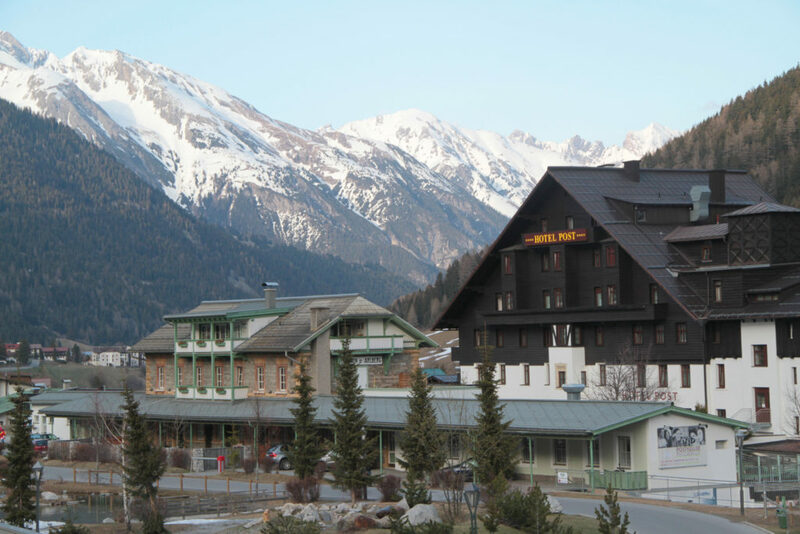 The ski village of St Anton is a postcard of Austrian chalet hotels, boutiques and lively après ski bars in the beautiful alpine valley. 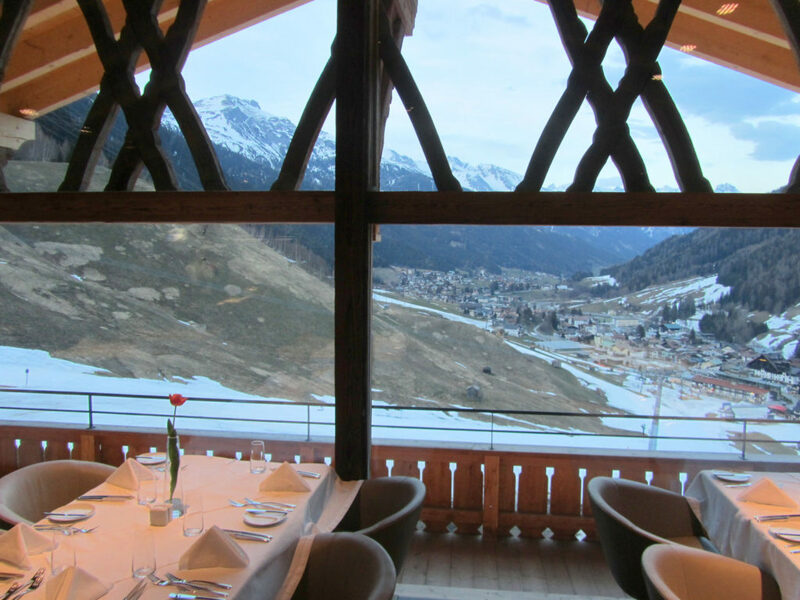 What’s fun about St Anton is the mix of authentic rustic chalets and modern luxury hotels, shops and restaurants. 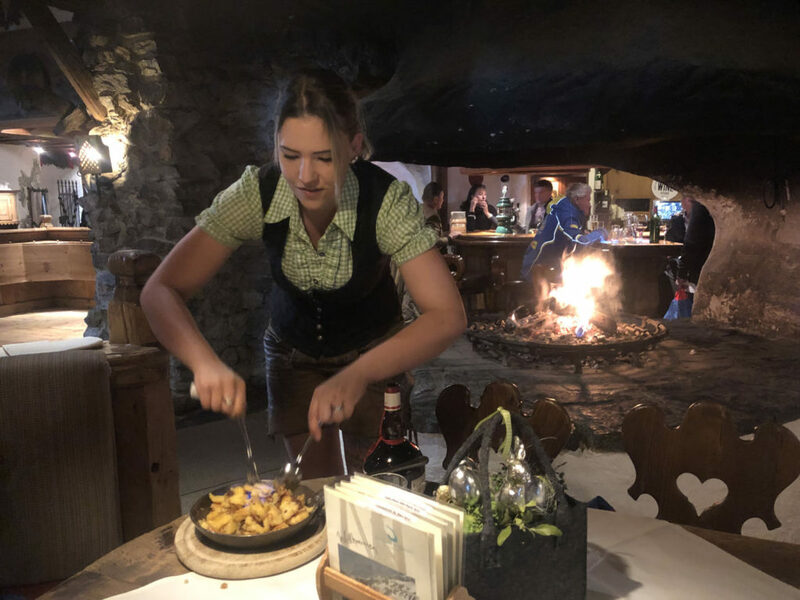 It’s a surprisingly cosmopolitan ski village, you can arrive by train, and everything you need is in town from skis to lessons, to furs and jewelry, and lots of entertainment after the ski lifts stop. 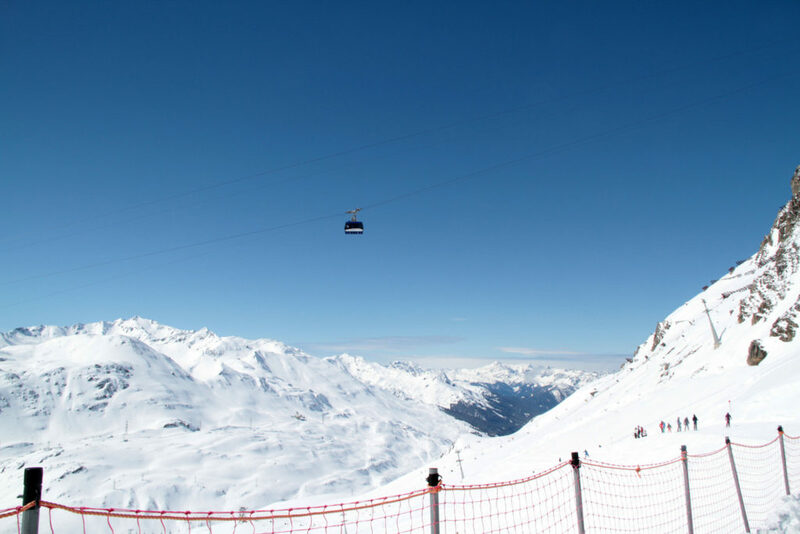 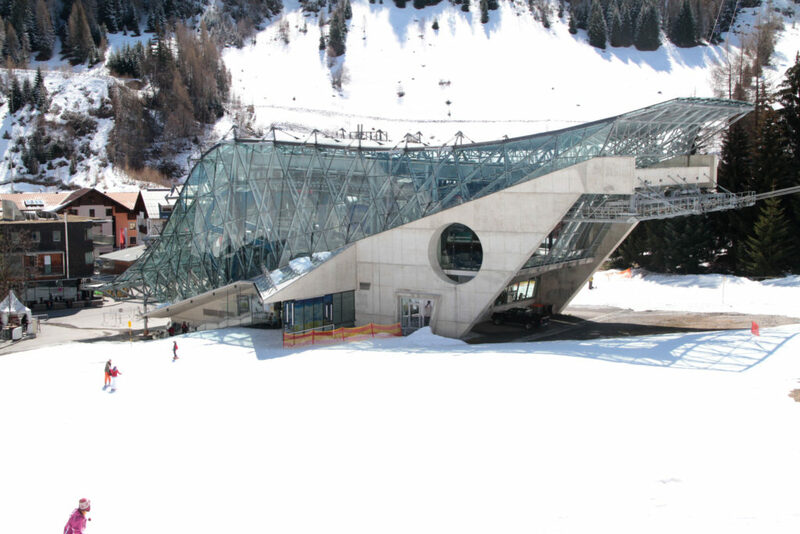 St Anton’s impressive lifts include the Galzigbahn 24 passenger gondola from the village, this modern Doppelmayr rivals an amusement park attraction, but delivers skiers up to time revered ski terrain. 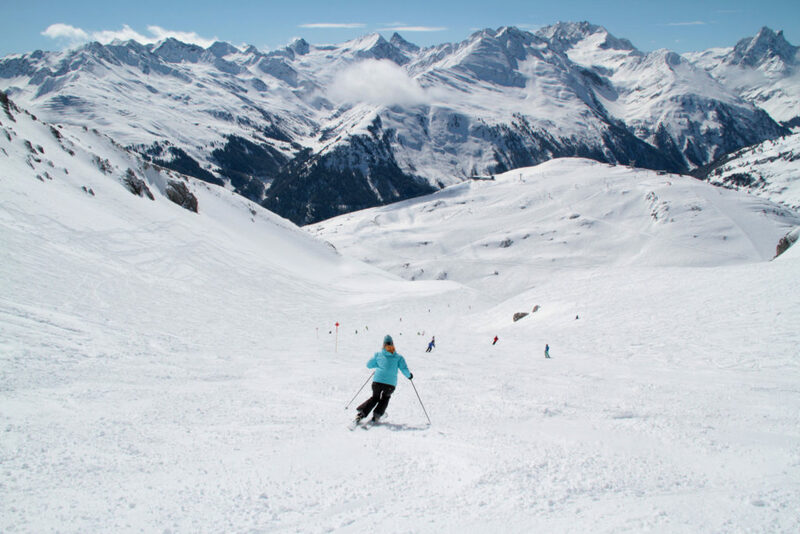 From the summit of the 6,555’ Galzig,skiers have dozens of groomed and prepared ski slopes to choose from. 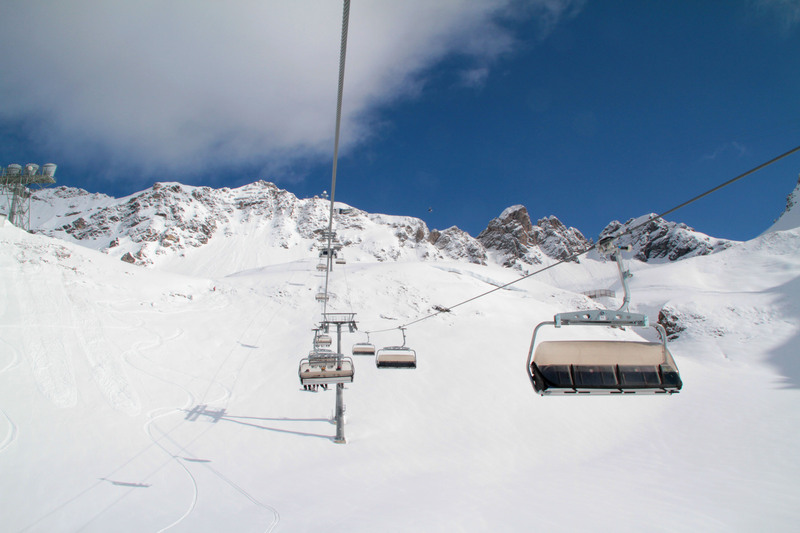 Or continue up the Valluga Tram I to the summit for steep, long and super scenic skiing. 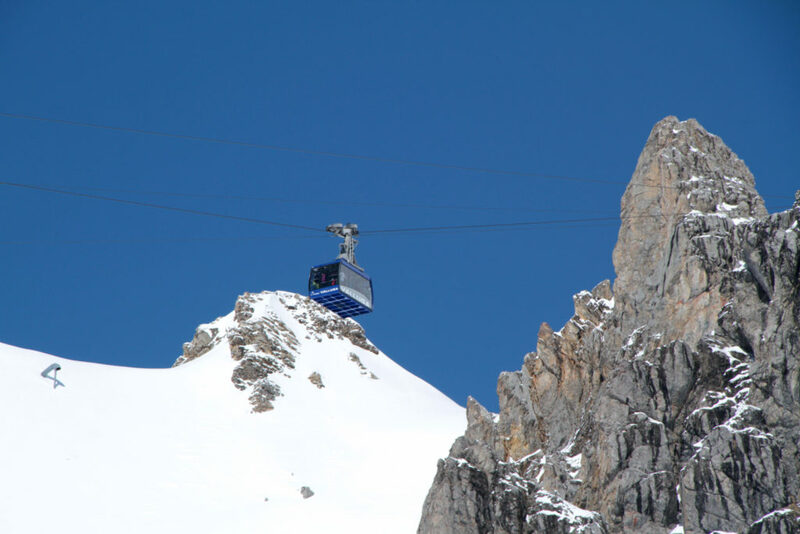 The highest point at 9,222′ is reached by Valluga II – a 5 person tram you can ride without skis for the amazing views, you must be accompanied by a guide to ski off the summit, which we did – hiring a St Anton off-piste guide for an epic steep exhilaratingly long (expert only) ski run over 4,000′ vert and 6 kilometers all the way to Zurs and Lech. 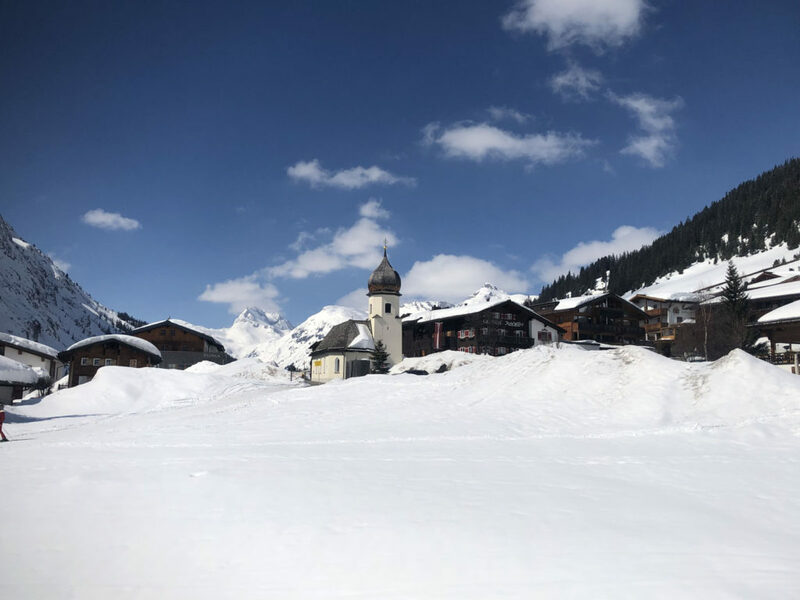 Skiing Valluga, Galzig or Spitze you can reach neighboring Stuben, or the delightful ski town of St Christoph where we recommend a delightful traditional Austrian ski lunch at the Hospiz Alm complete with lederhosen waiters, beer, brat, cheese, apple strudel and traditional Austrian music (check out the slide to the water closets and wine cellar). 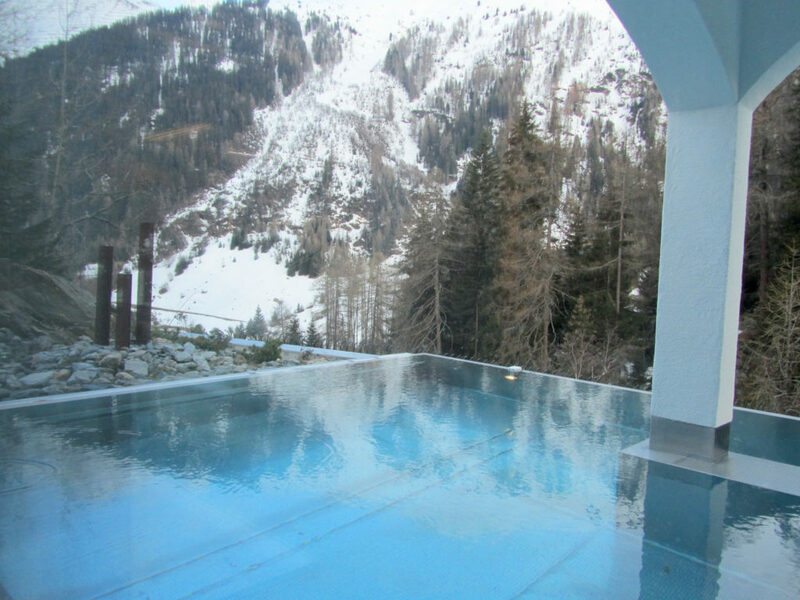 See our review of top on mountain chalets in The Arlberg for ski to lunch. 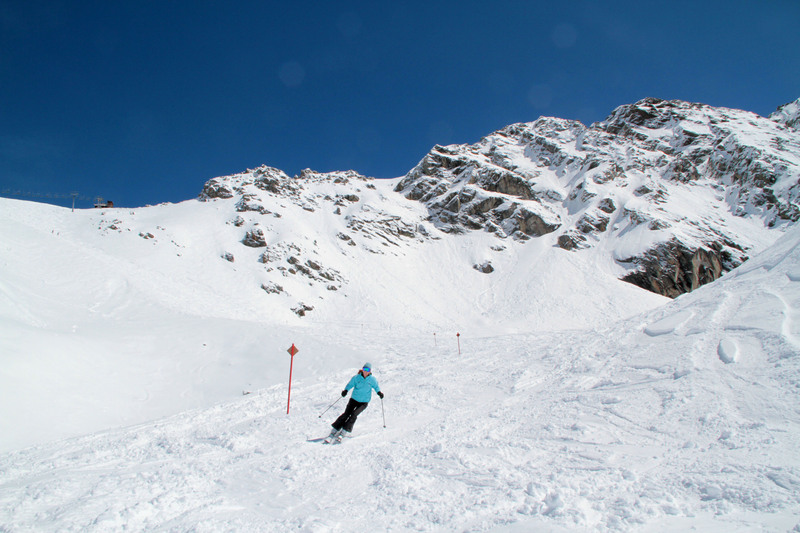 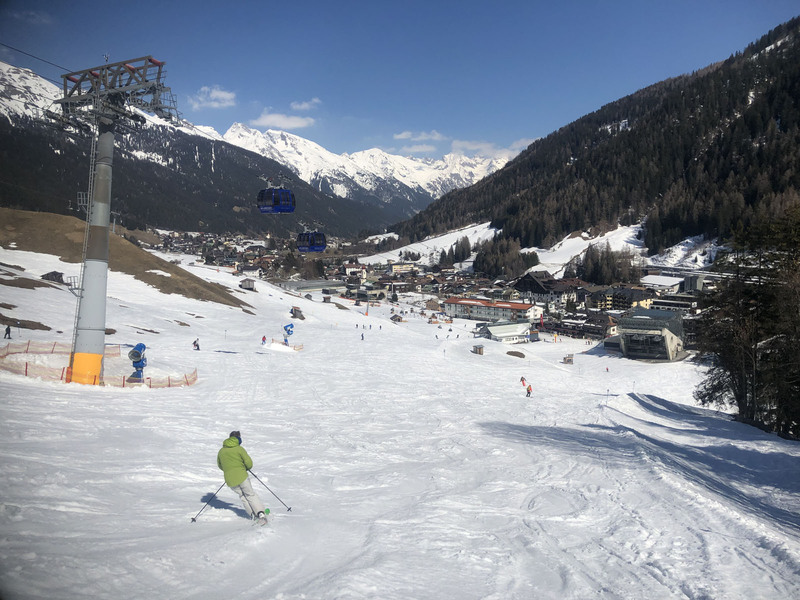 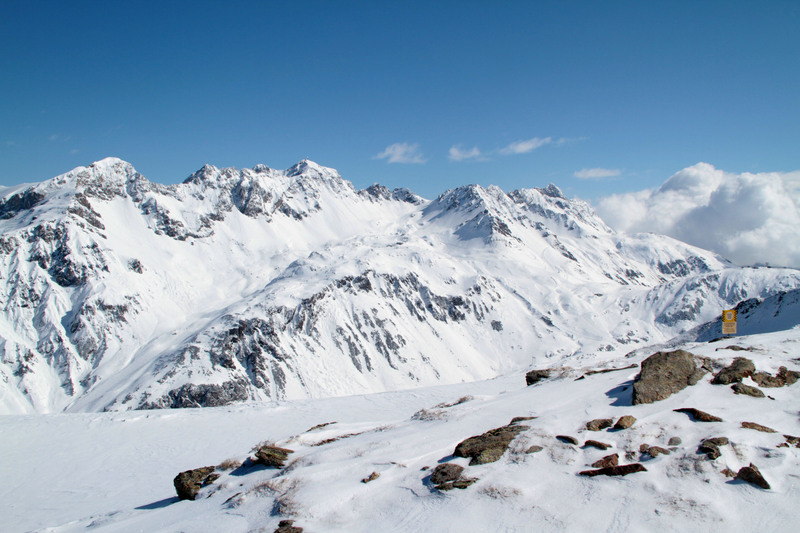 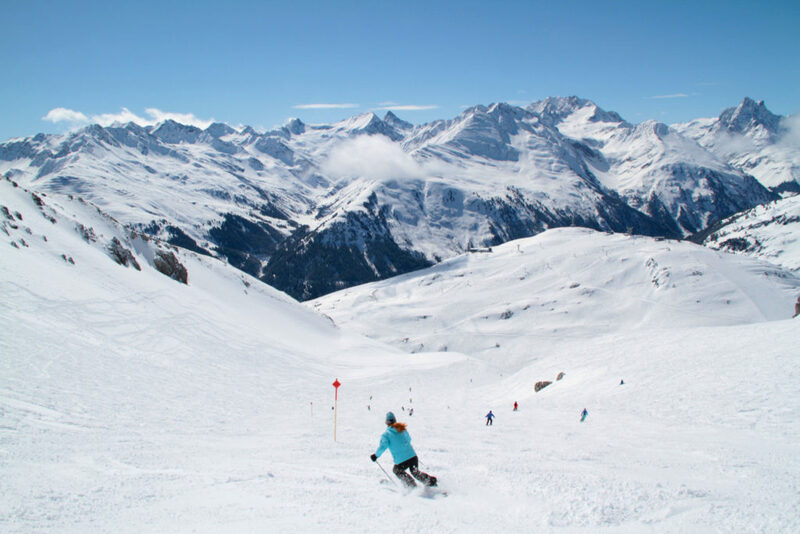 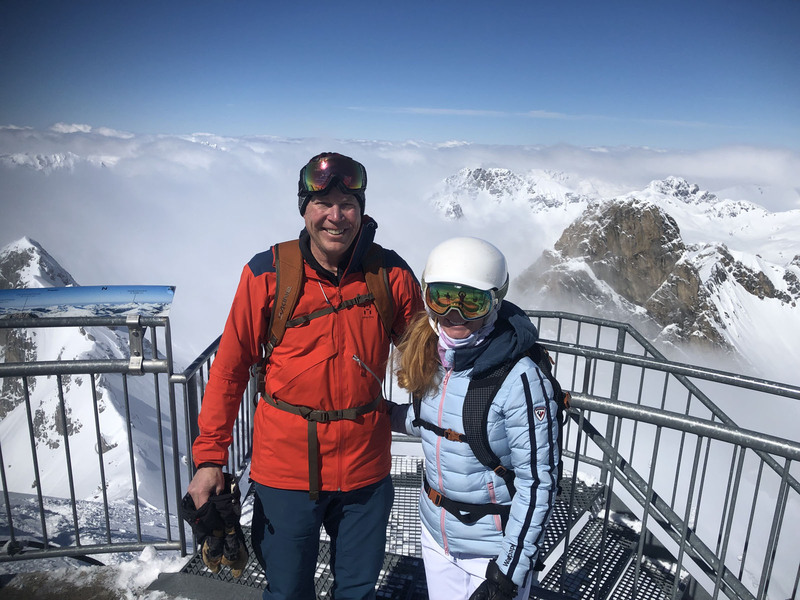 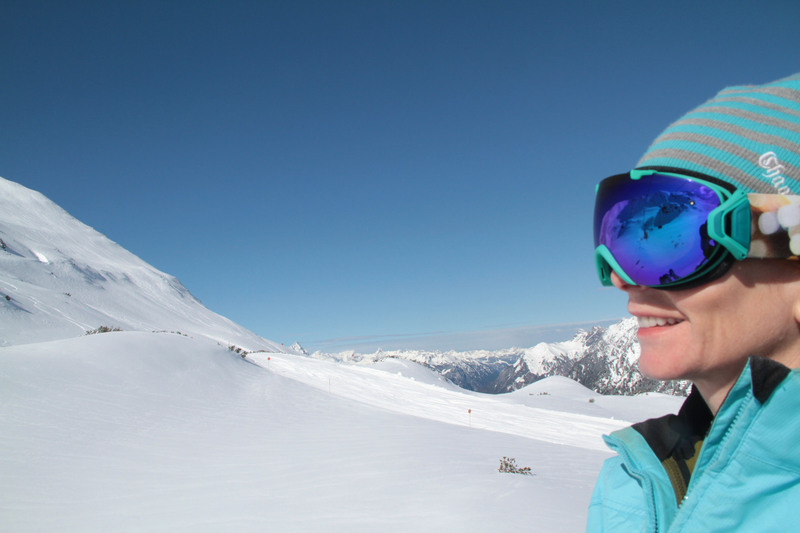 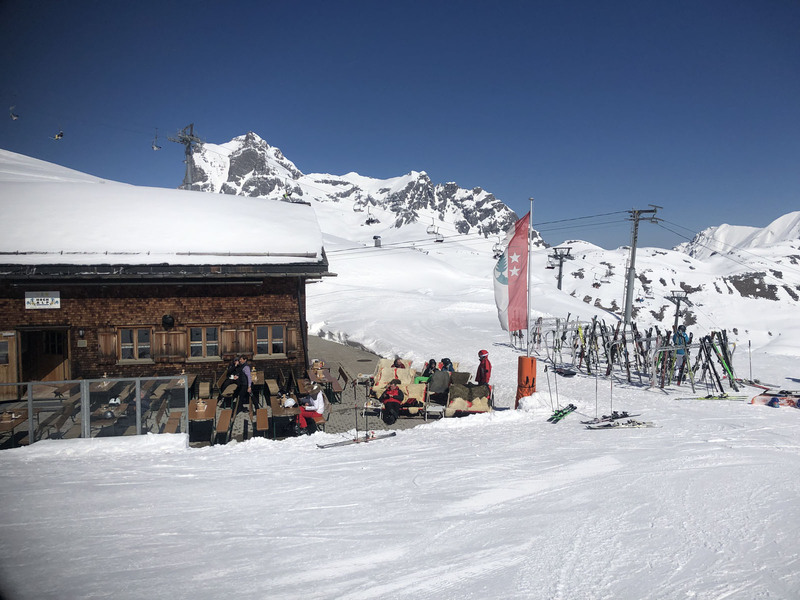 Don’t miss St Anton’s Rendl ski area across town for sunny pleasant skiing. 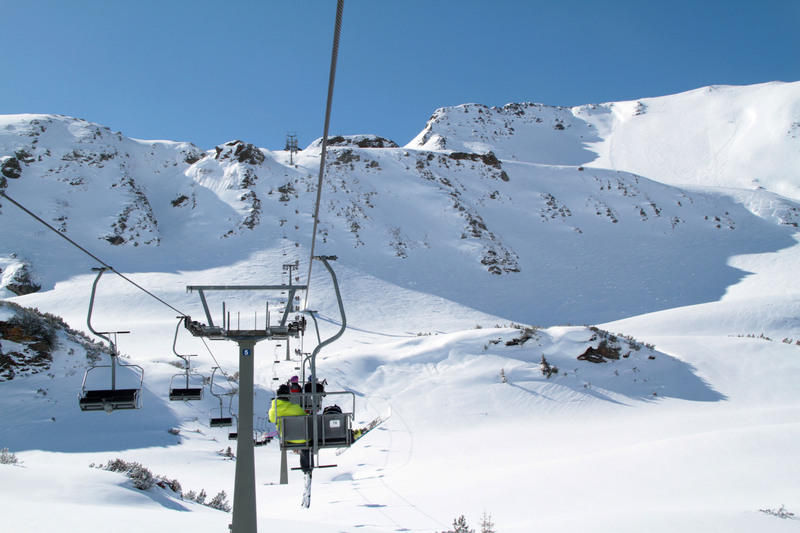 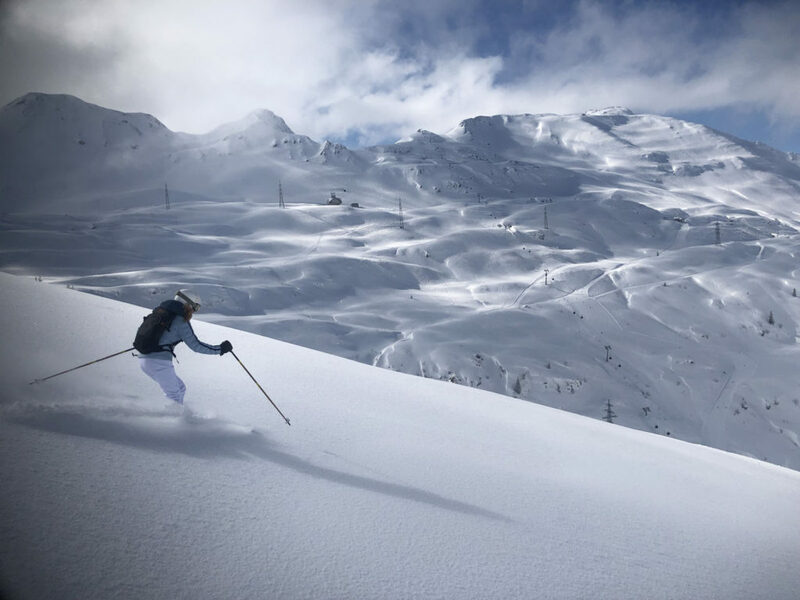 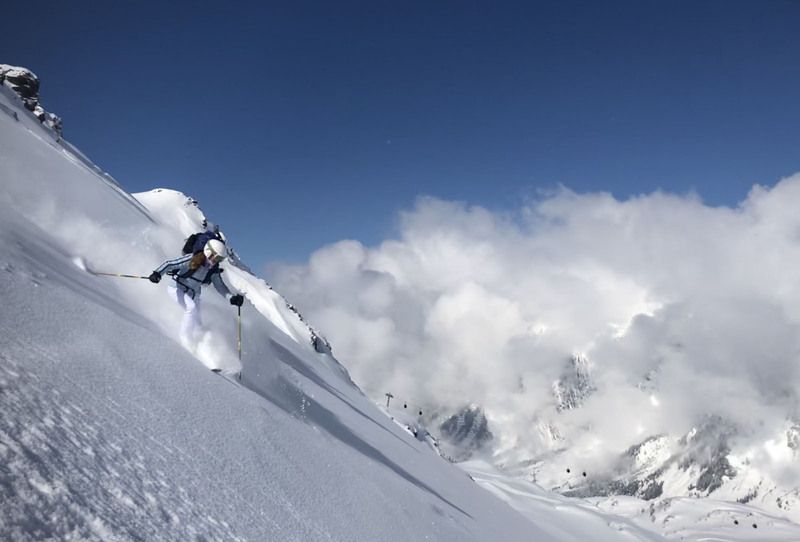 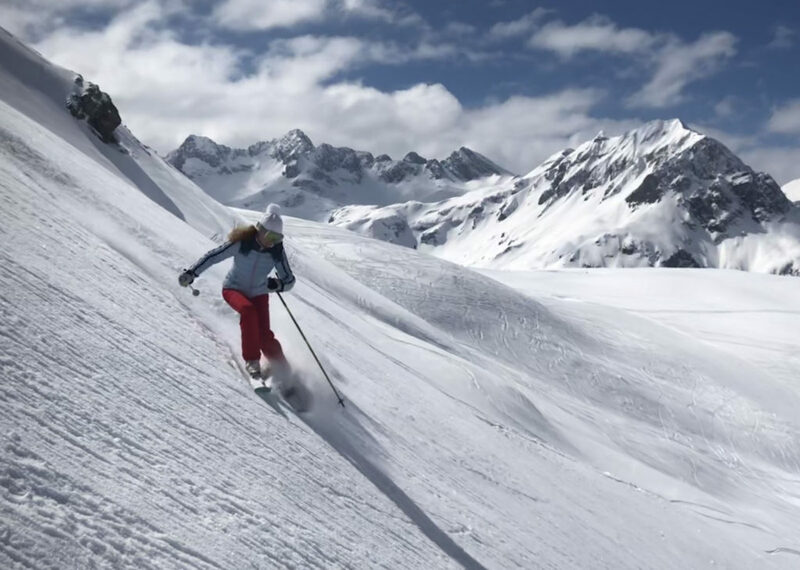 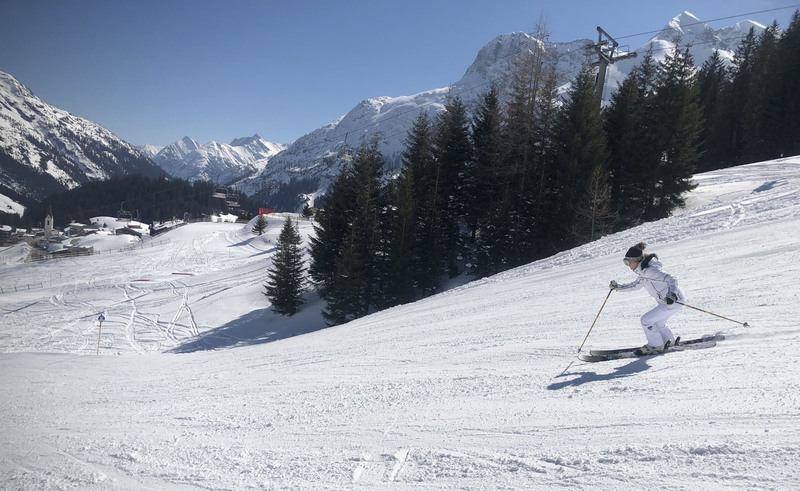 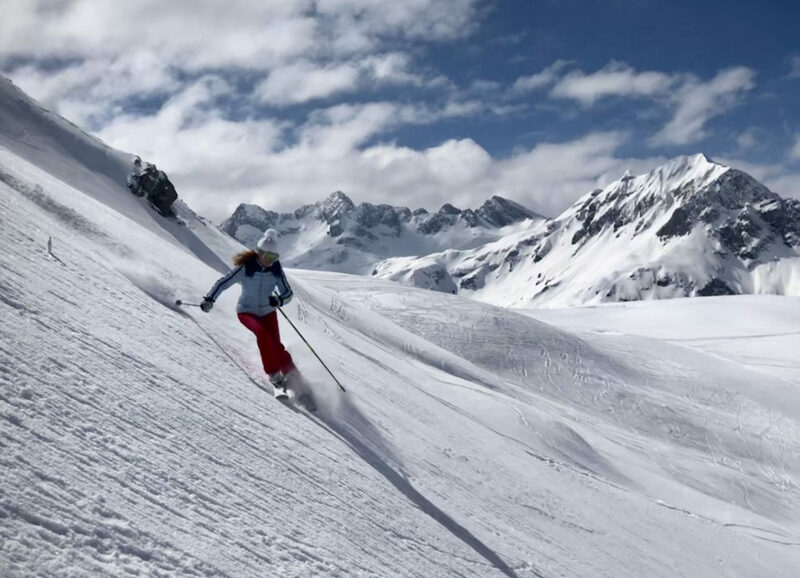 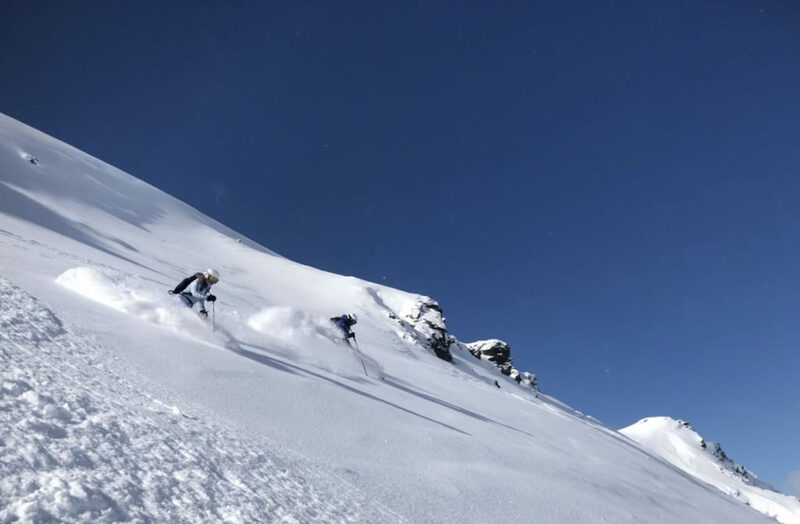 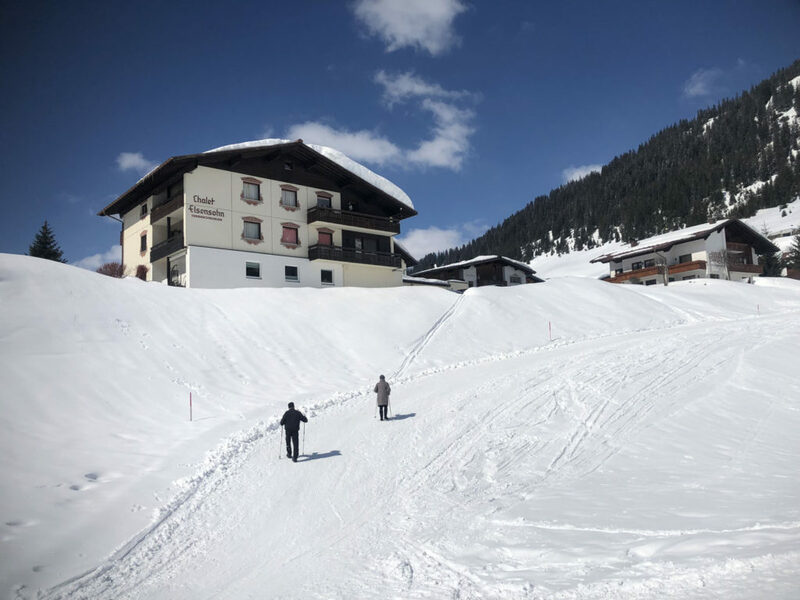 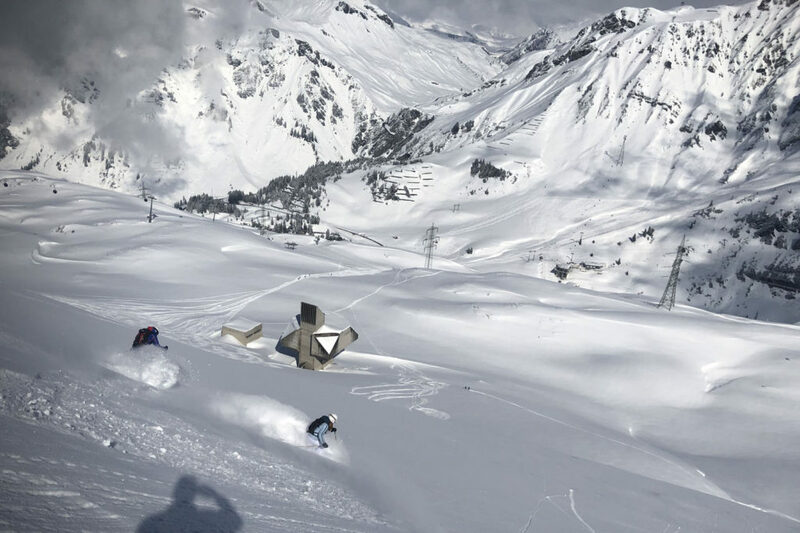 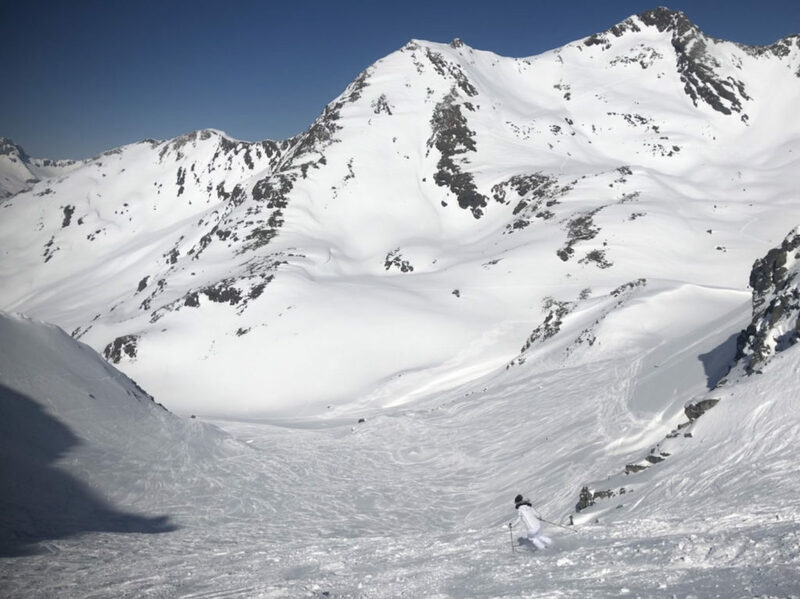 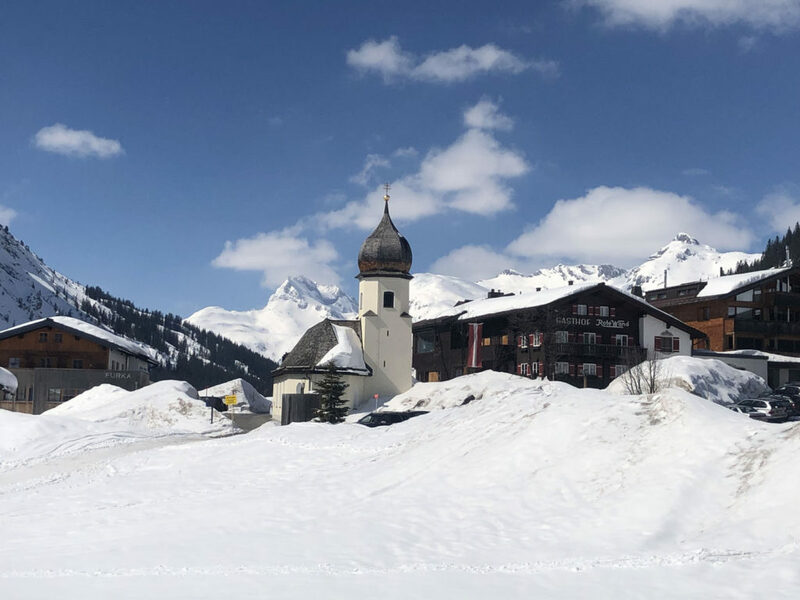 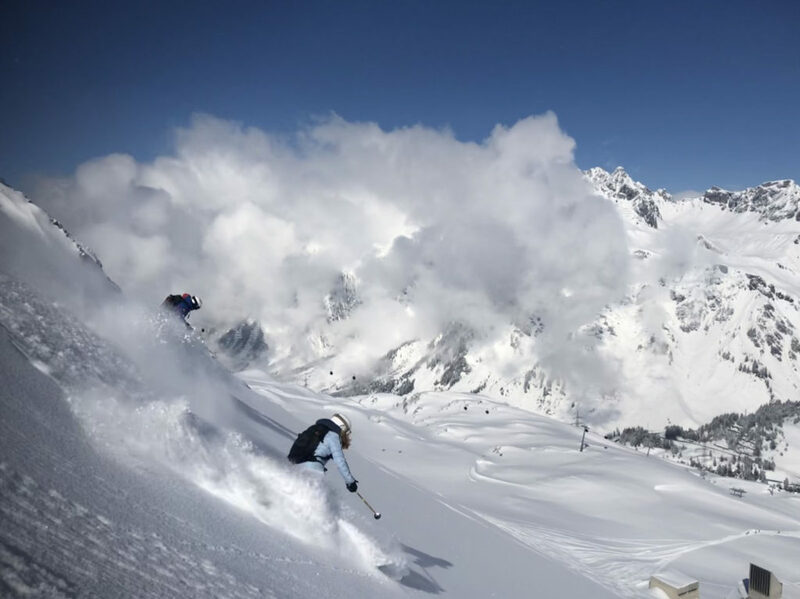 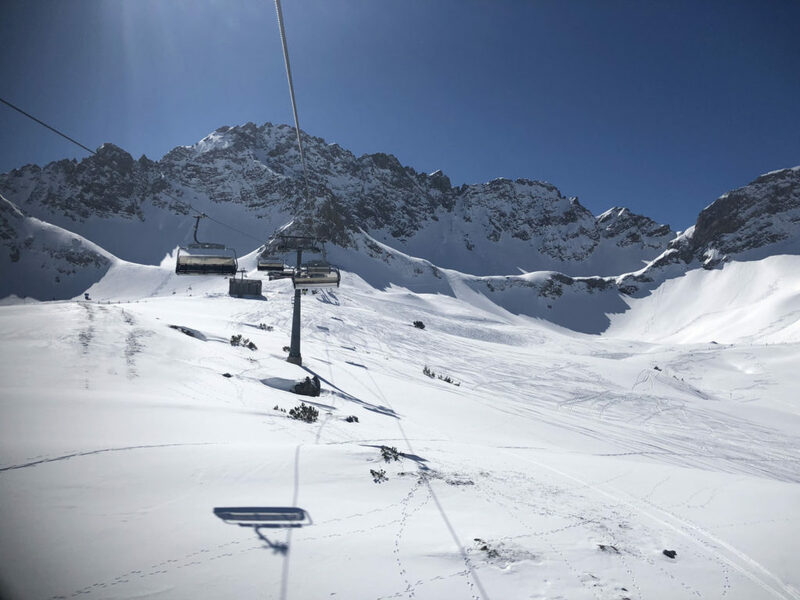 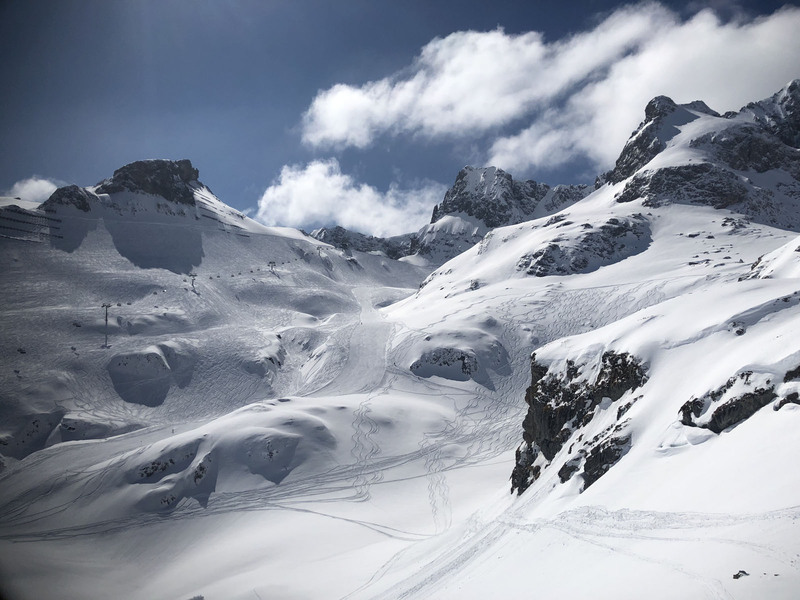 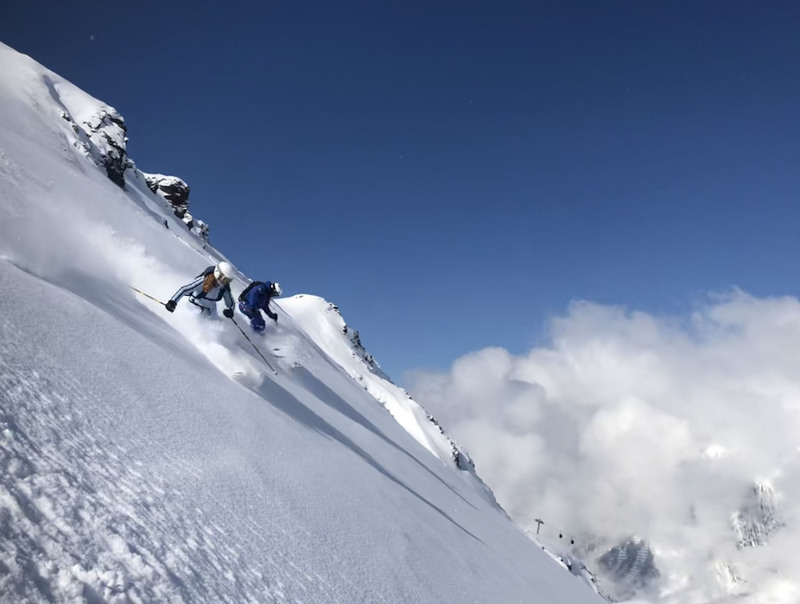 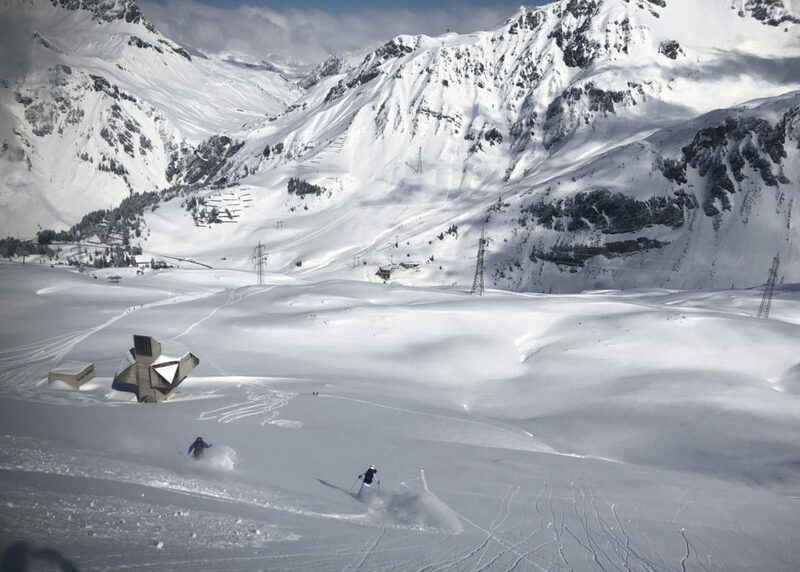 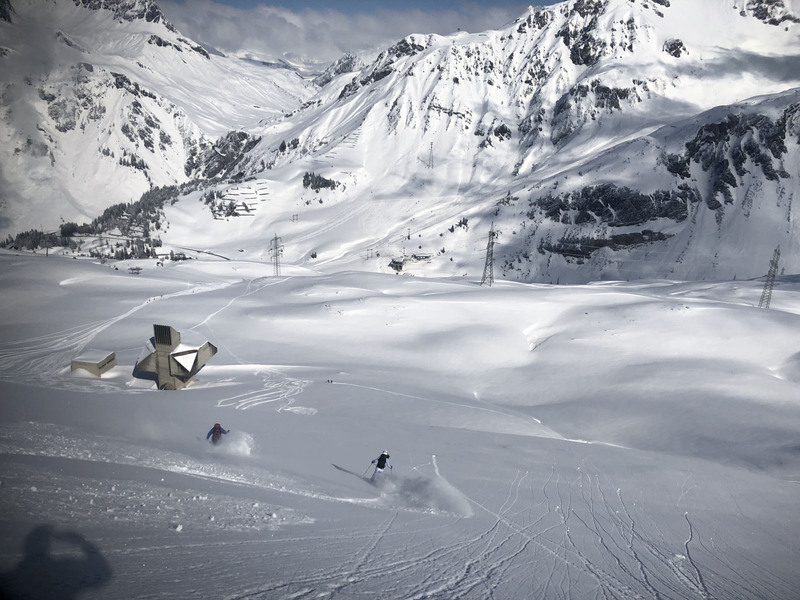 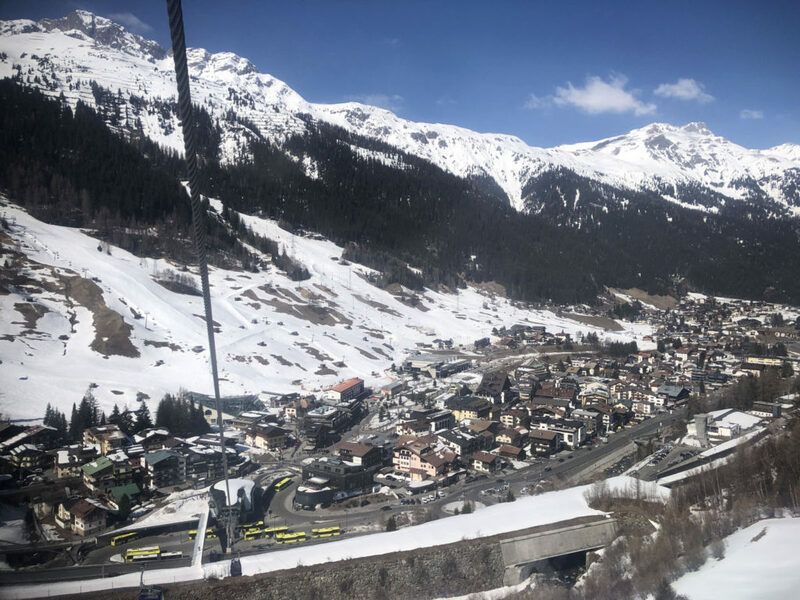 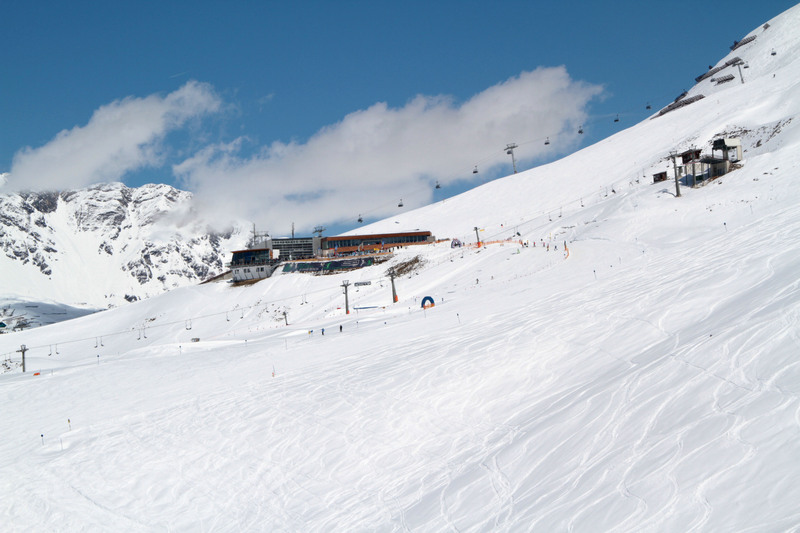 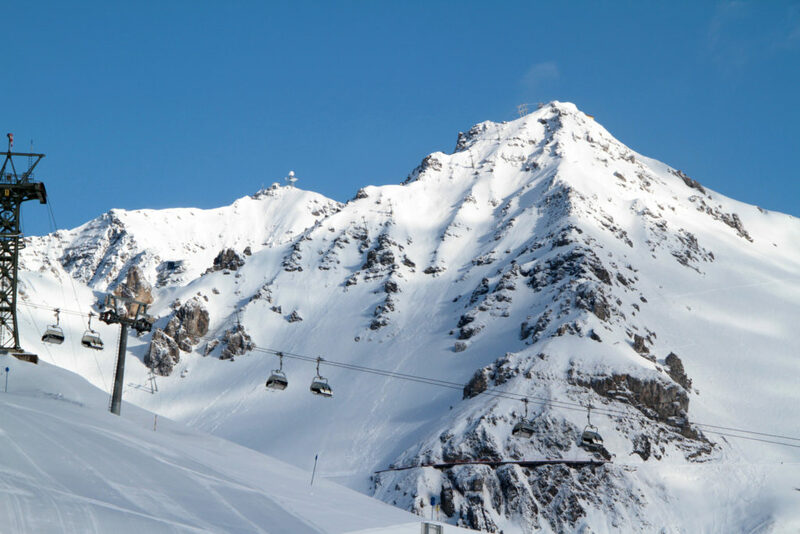 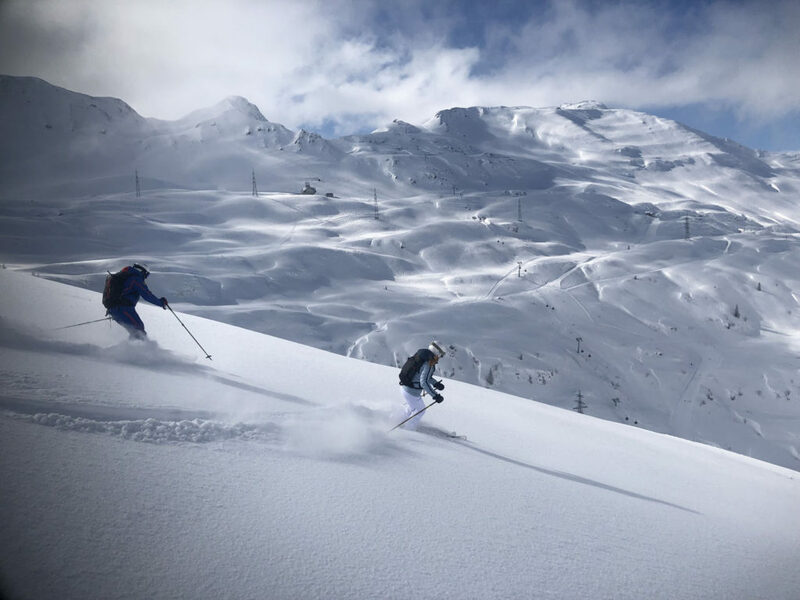 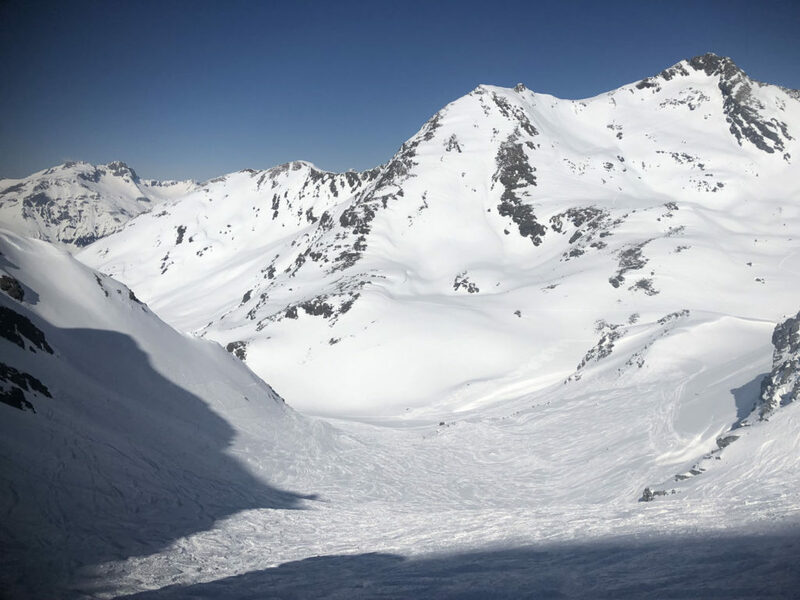 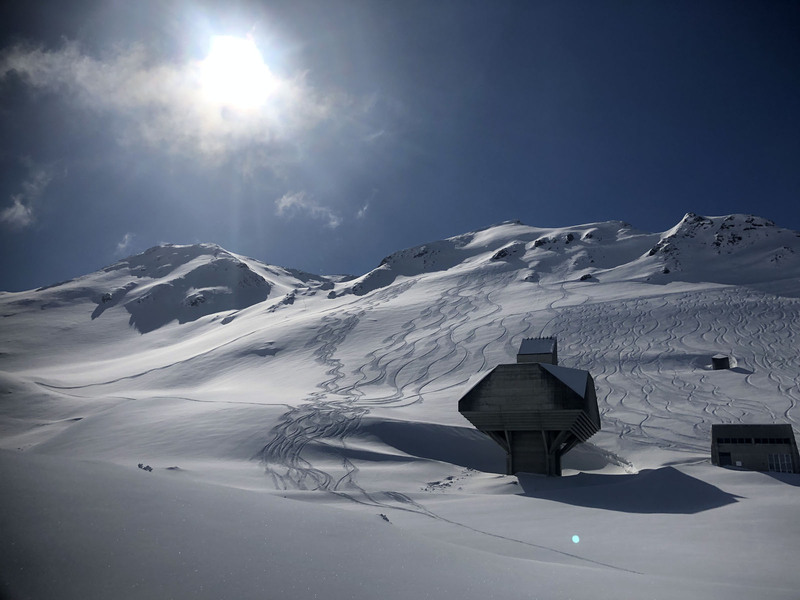 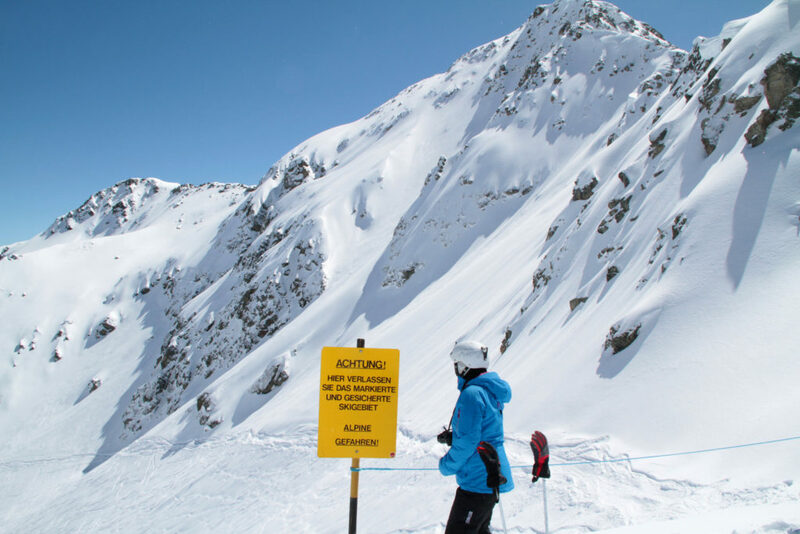 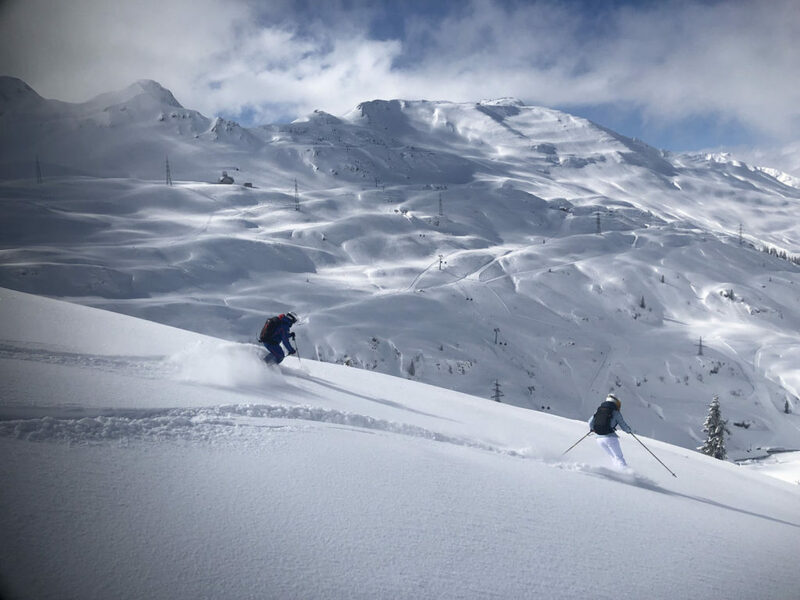 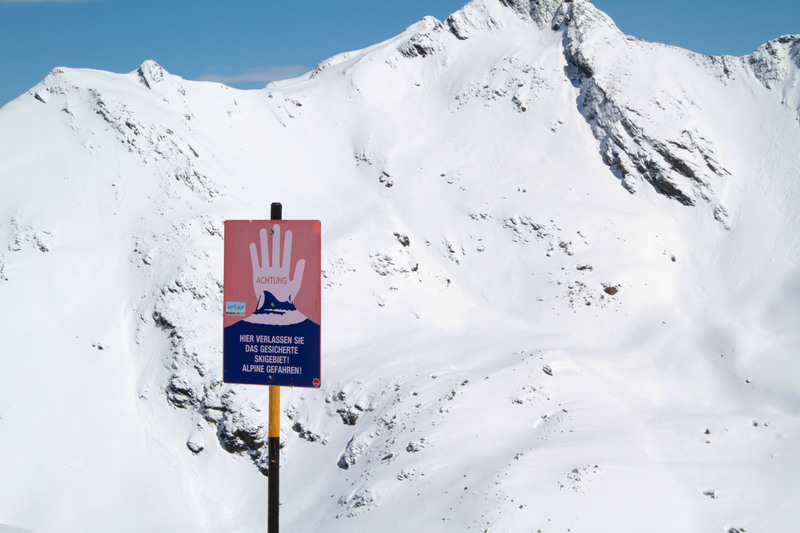 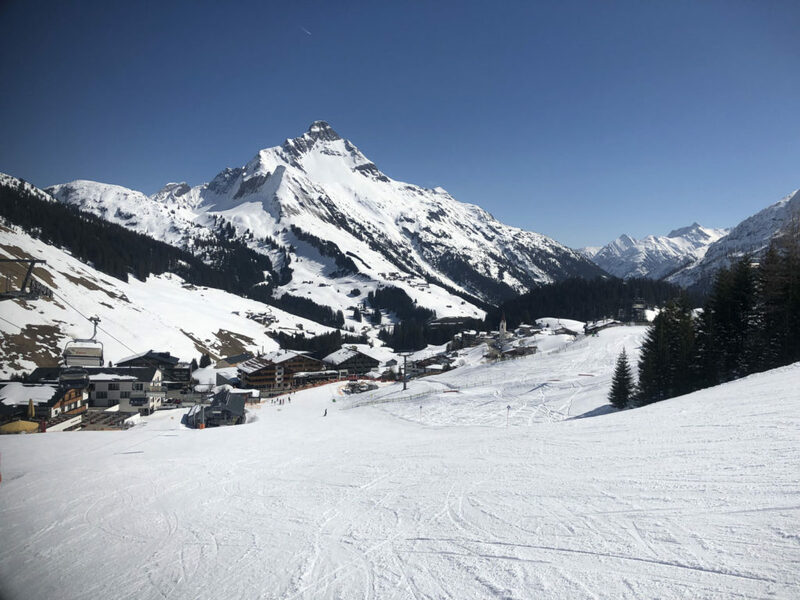 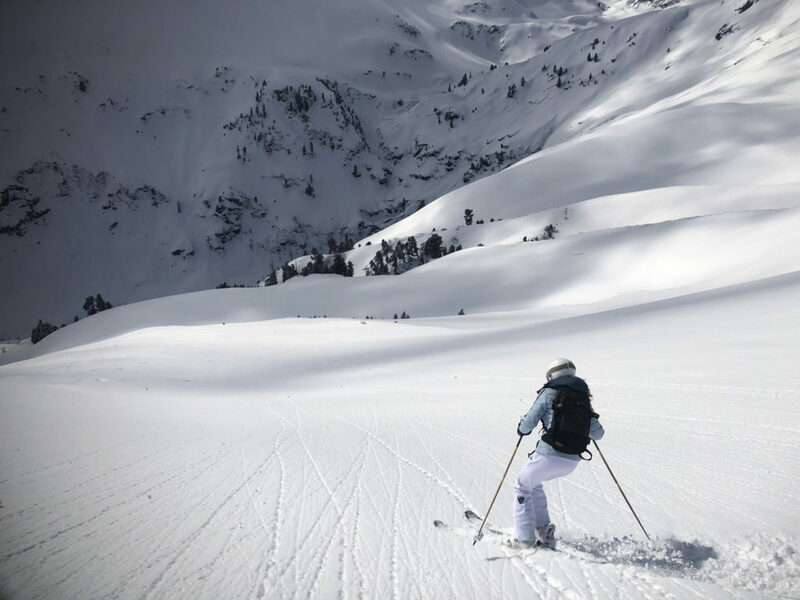 The Arlberg’s ski terrain is vast and varied, The Run of Fame is a fun way to explore the entire circuit – paying homage to famous skiers and movie stars here over the years. 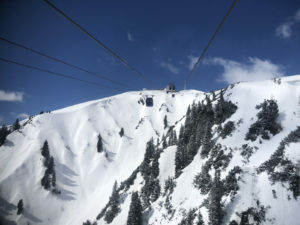 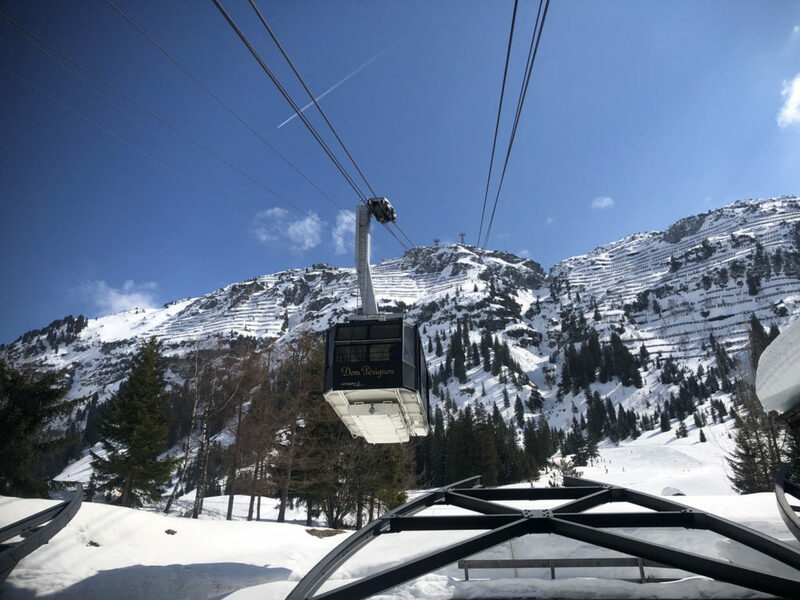 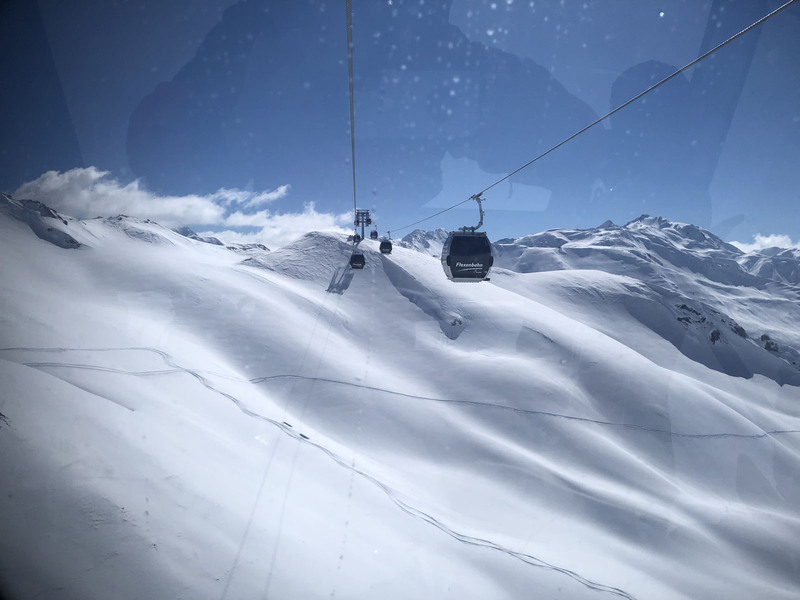 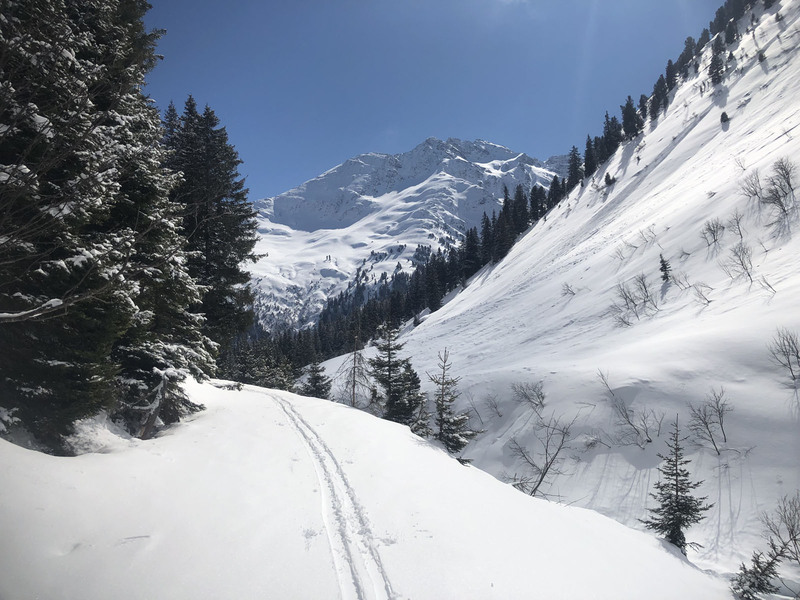 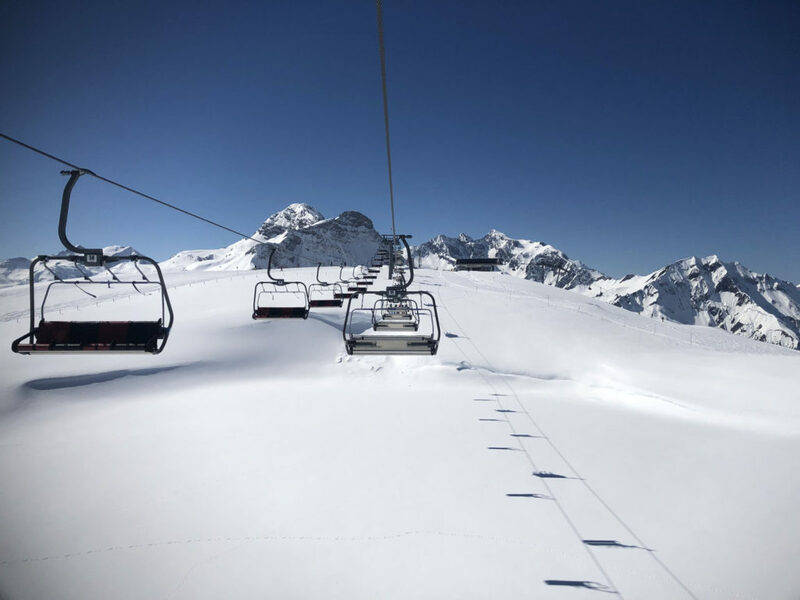 The tour is 85 kilometers total (with a trail map or the app), riding spectacular lifts like the Flexen and Trittkopf gondolas that connect Stuben to Zurs and Lech, then the Aunfeldjet from Oberlech to Warth and Schröcken. 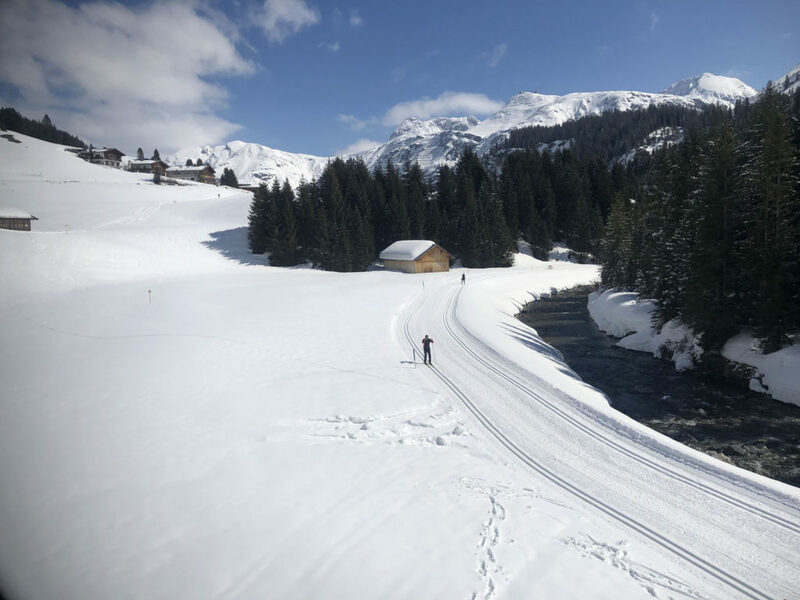 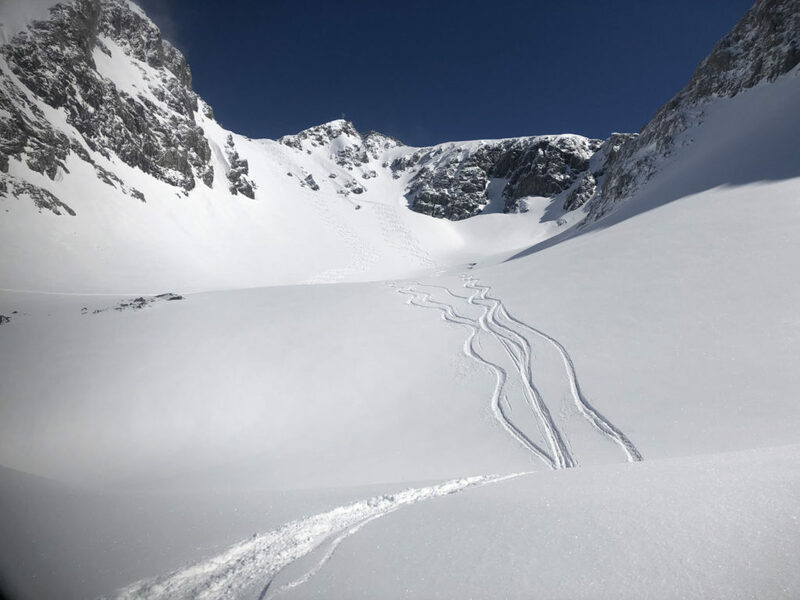 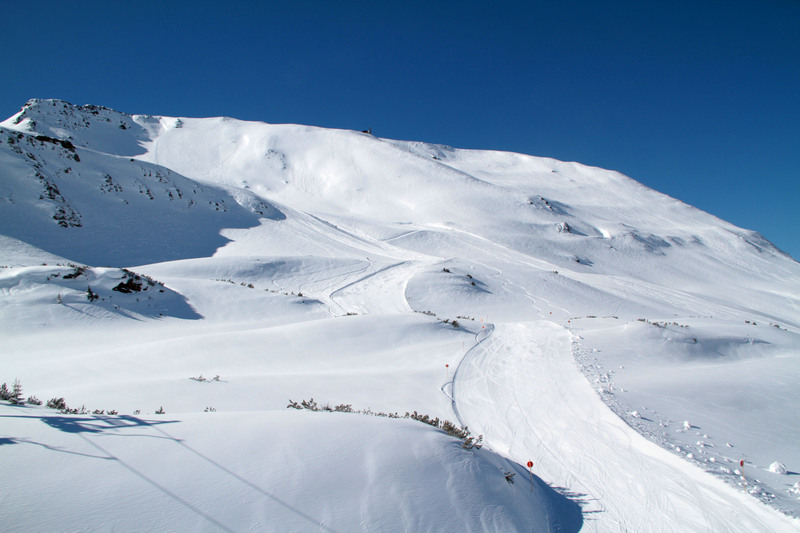 The White Ring, Weiss Ring is another ski tour, tracing the annual race around the most popular trails, Or, do as we did and explore at your leisure over a few days enjoying each unique resort section. 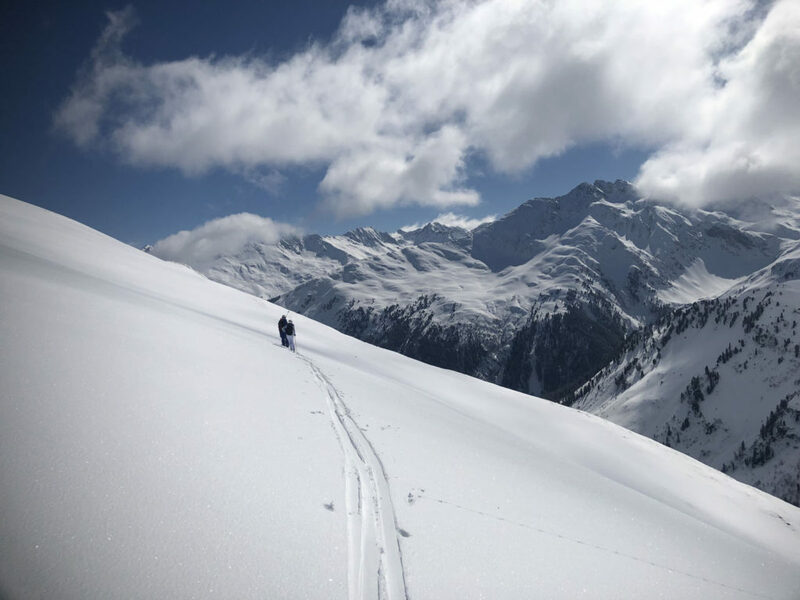 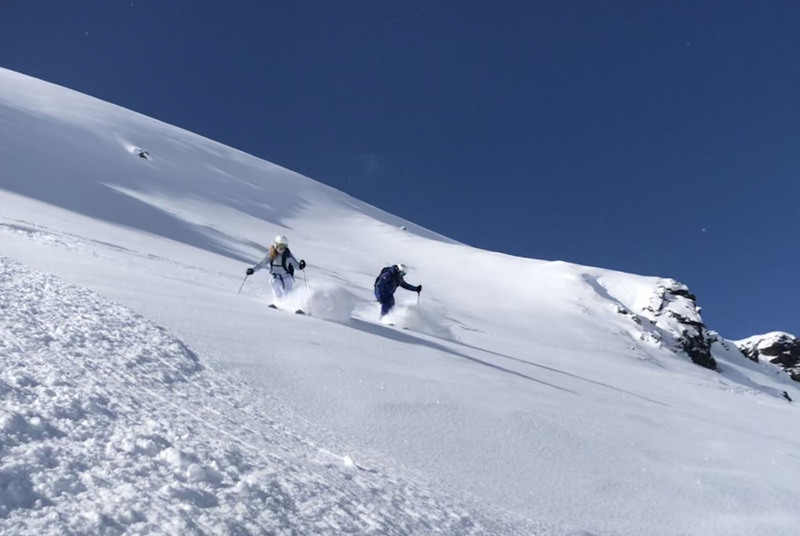 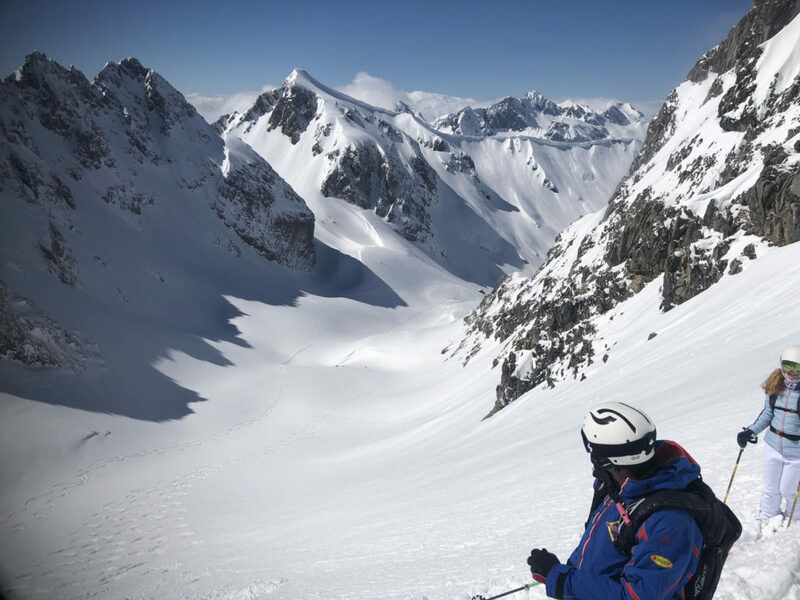 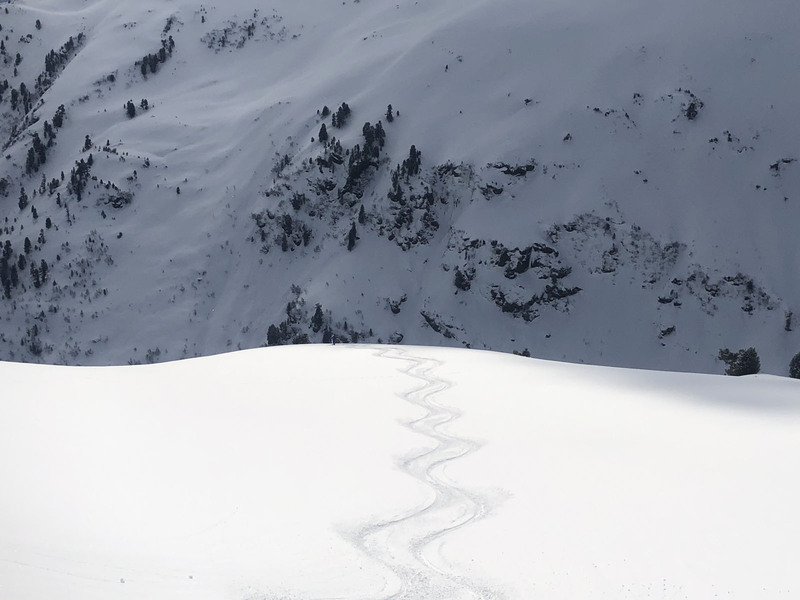 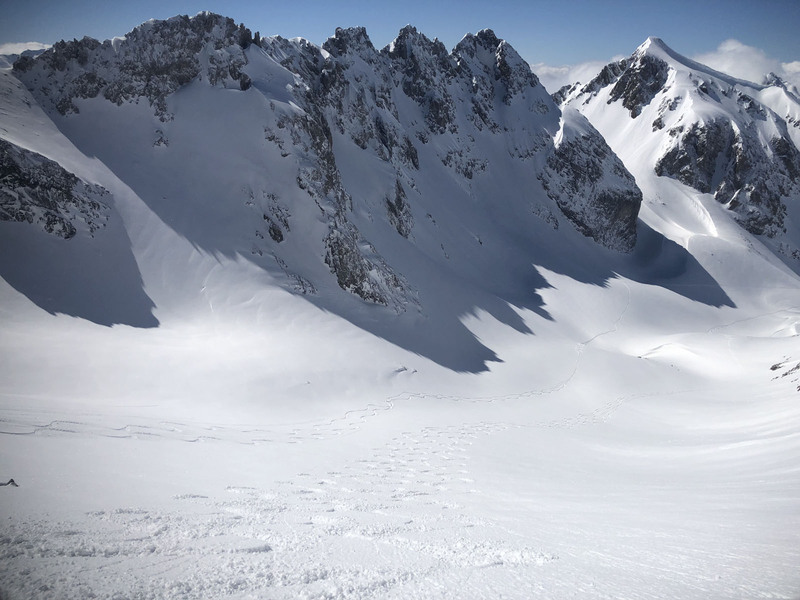 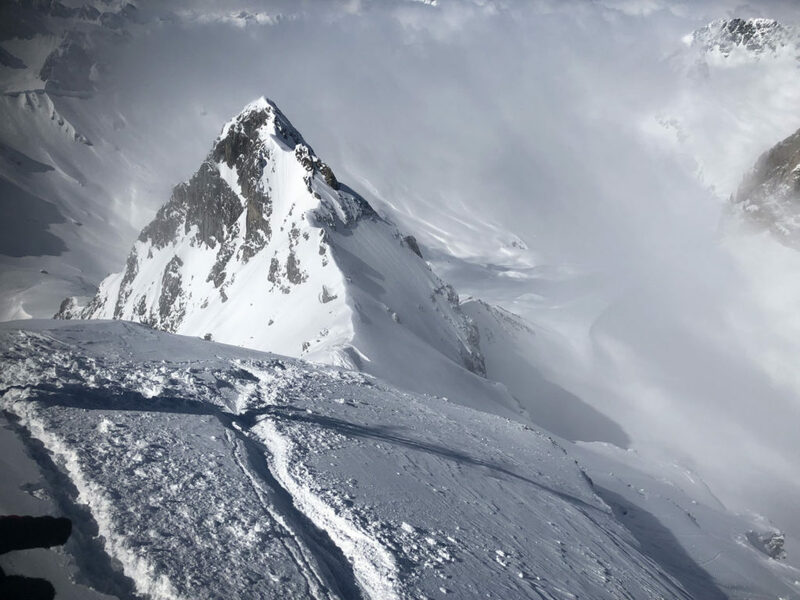 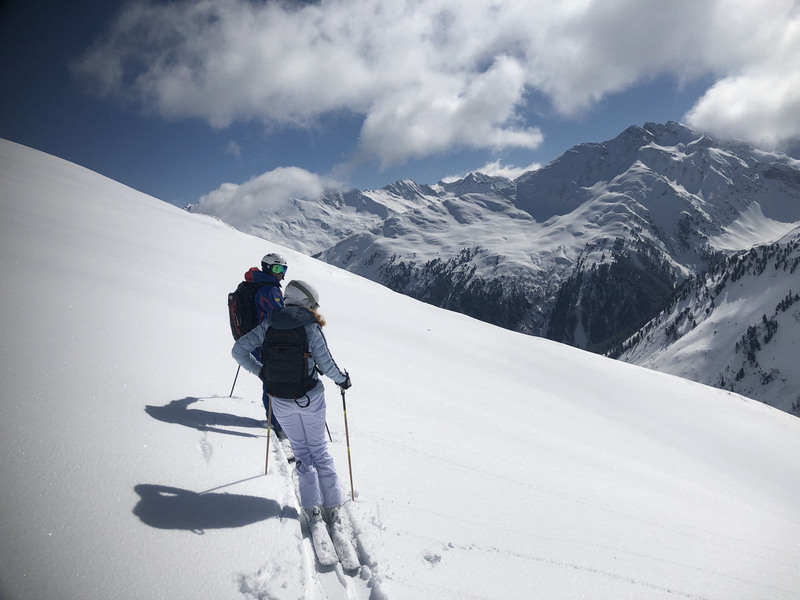 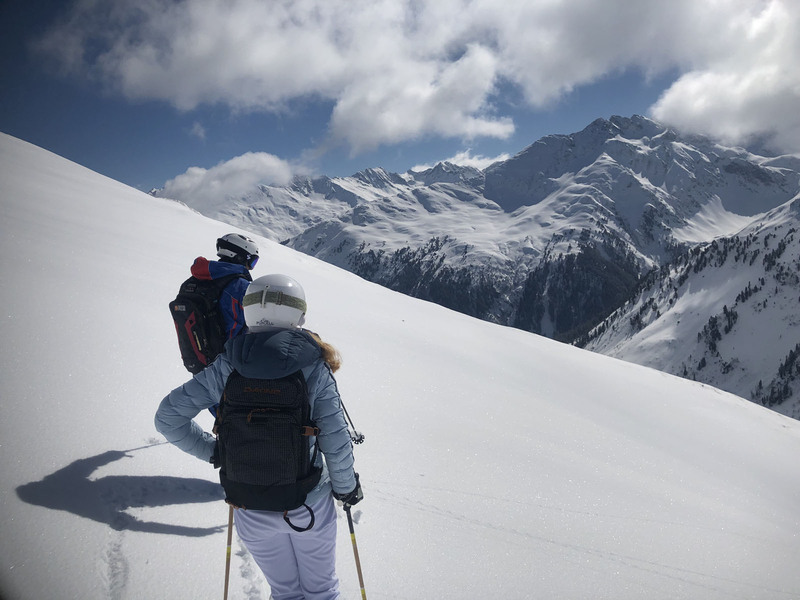 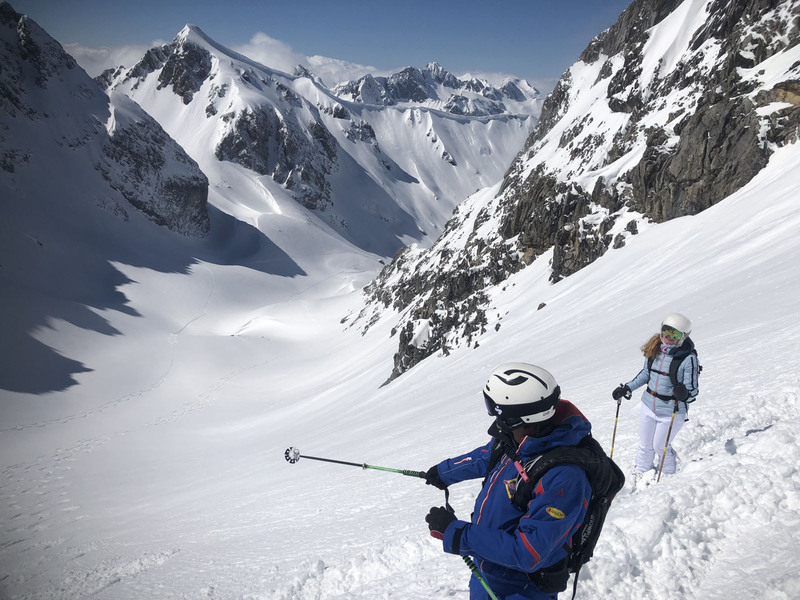 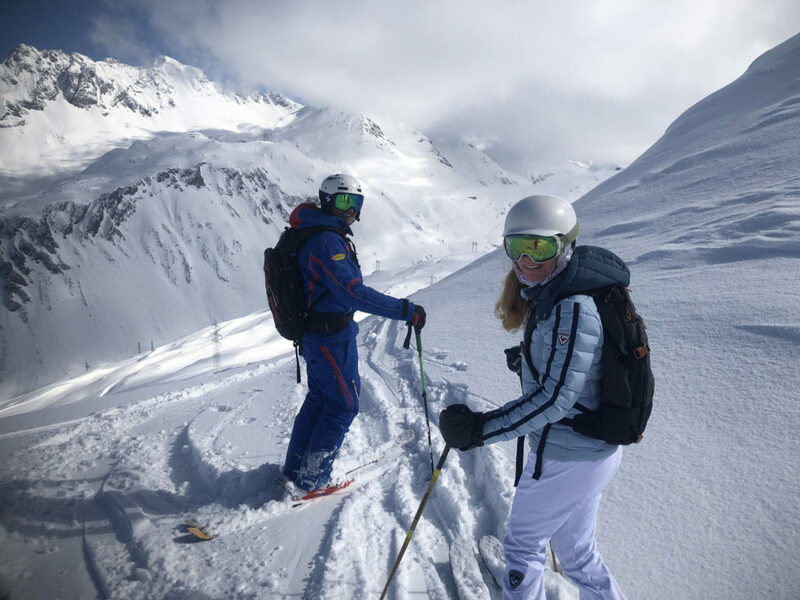 Hiring an Arlberg guide is a worthy investment for advanced to expert skiers to access The Arlberg’s amazing off-piste terrain safely, St Anton, Stuben and Lech particularly have lots of powder stashes but lots of unknown unmarked dangers and avalanche risk off the prepared trails too. 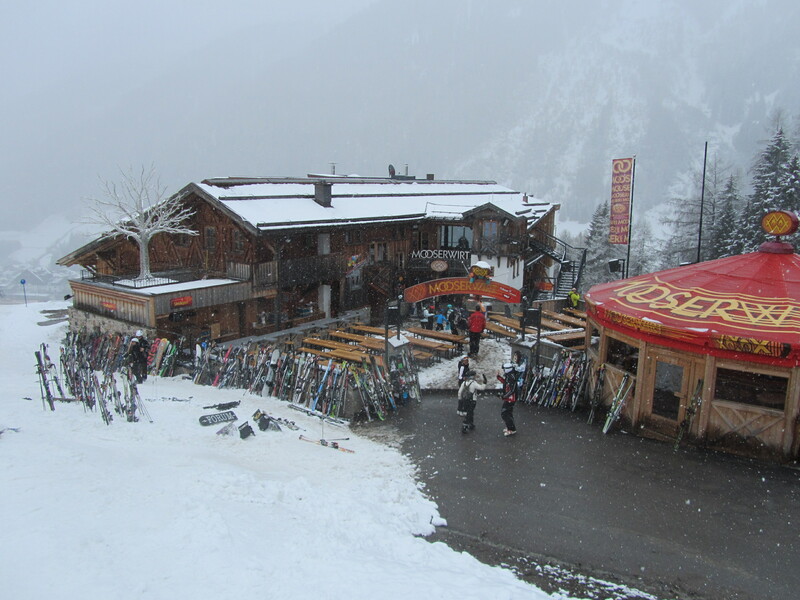 Après ski at St Anton is legendary, with great bars around the base of the ski slopes. 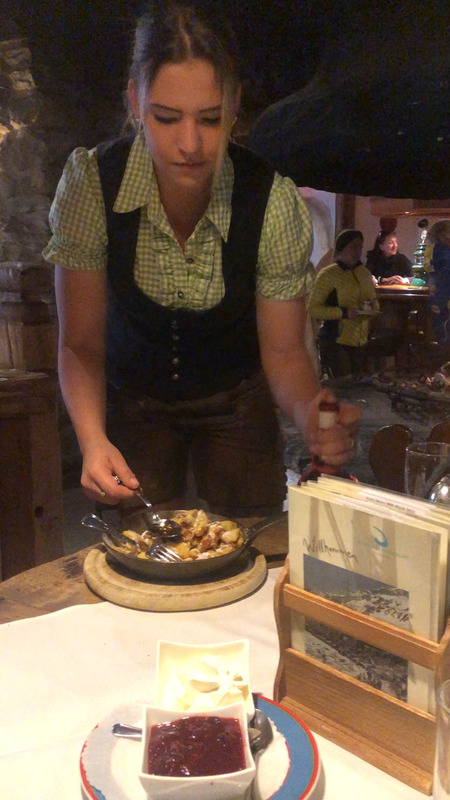 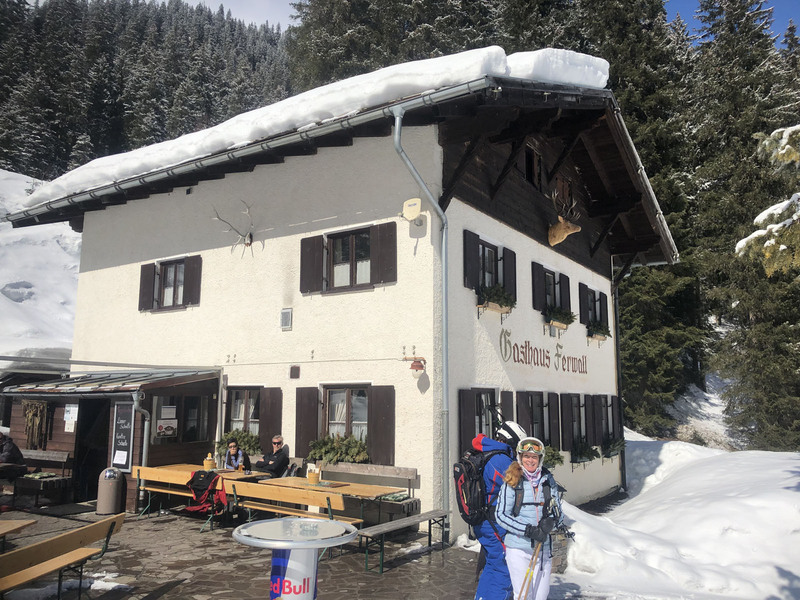 On your day’s end ski run down “après ski way” Trail 50 ski in to the world famous Mooserwirt or Krazy Kanguruh for lively music and a beverage. 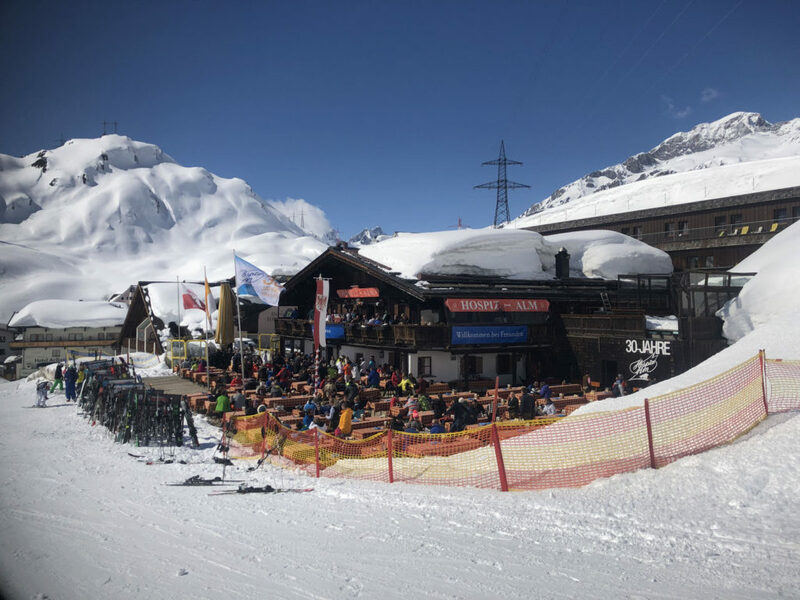 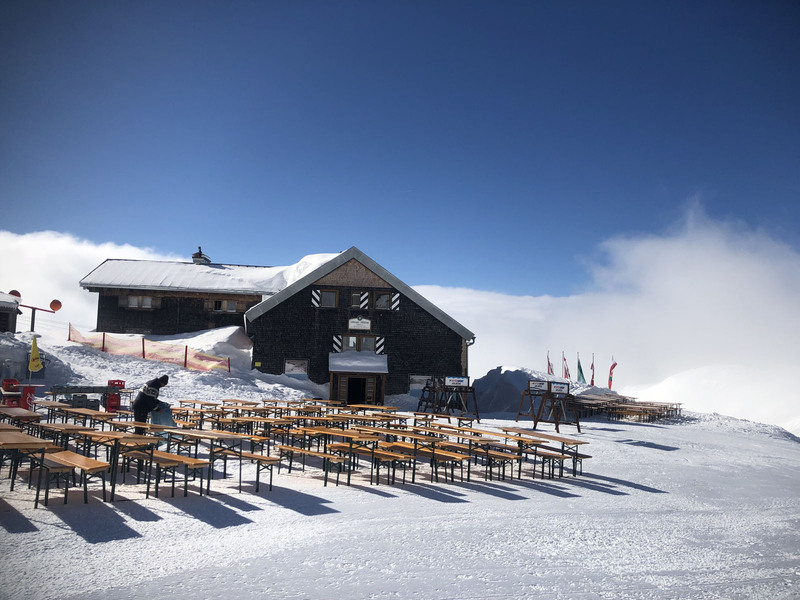 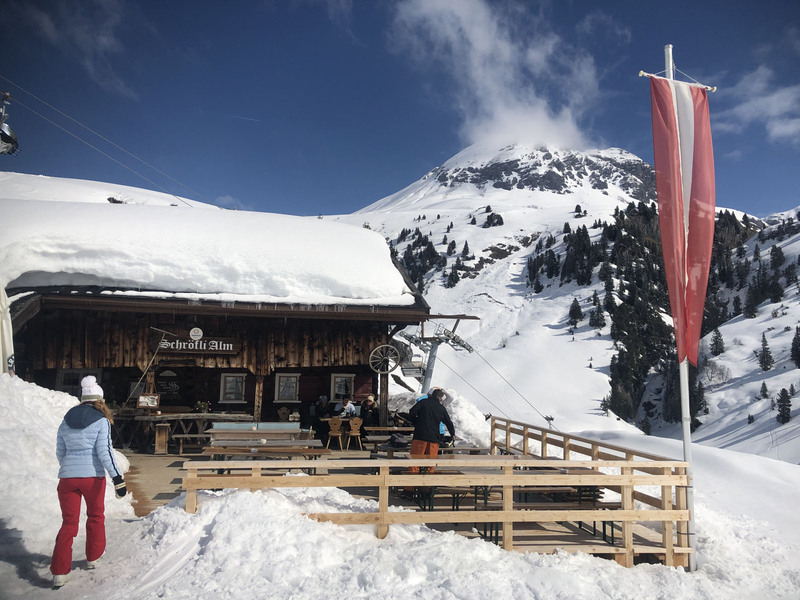 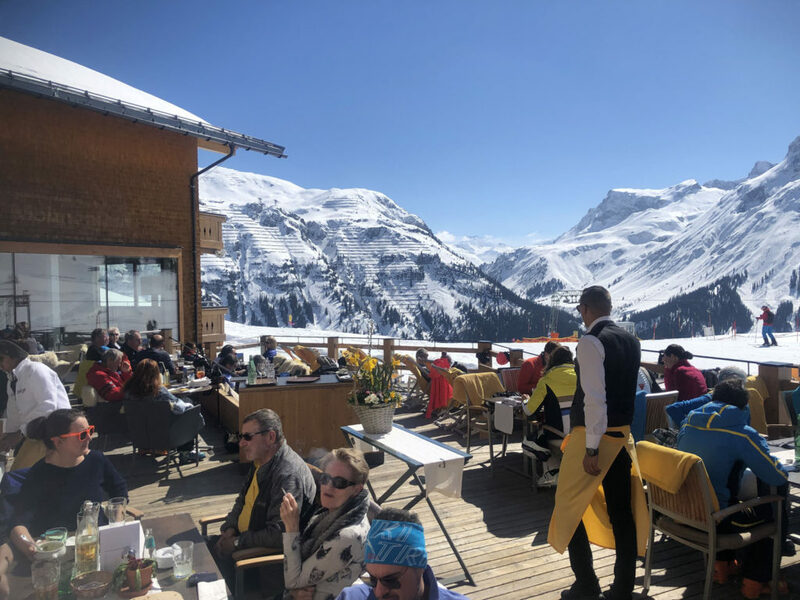 The Moosewirt claims to be “the worst ski bar in the Alps,” with humor, here hundreds of skiers drink shot skis, and dance to a DJ in ski boots inside the chalet, and out on the sun deck in spring. 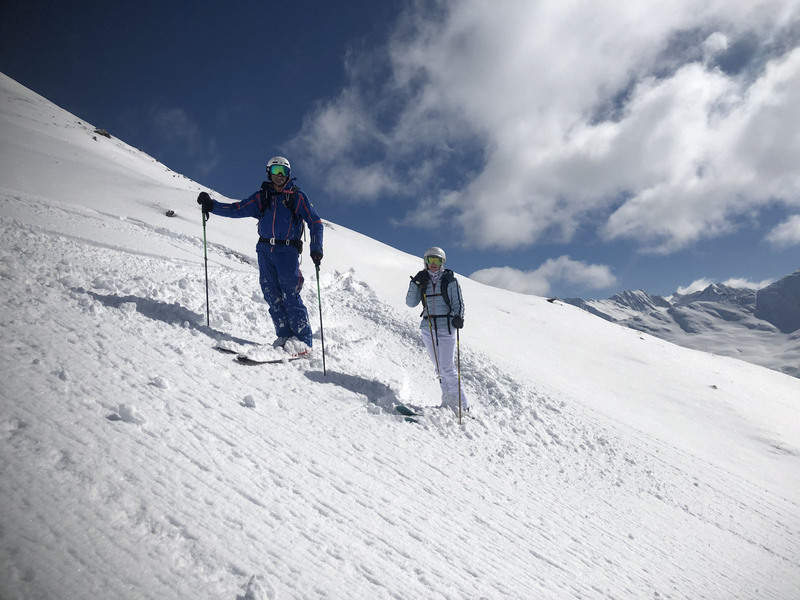 Just remember you have a little more skiing to do to reach the bottom. 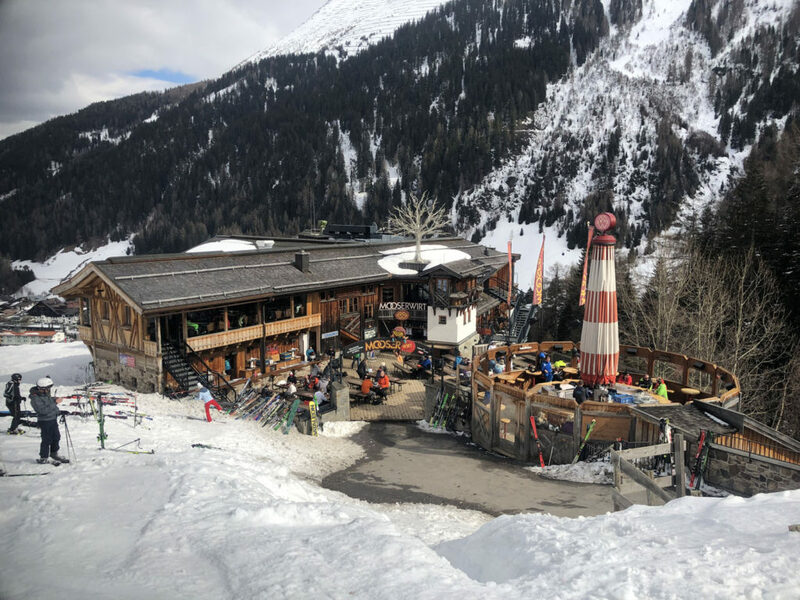 St Anton actually has an ordinance that après ski must end by 8pm, you should be out of ski attire by then, drunkenness in ski boots has been a St Anton problem. 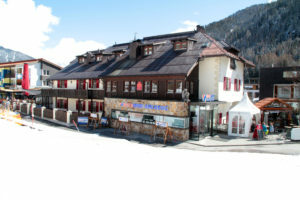 St Anton’s best ski hotels are in the historic village. 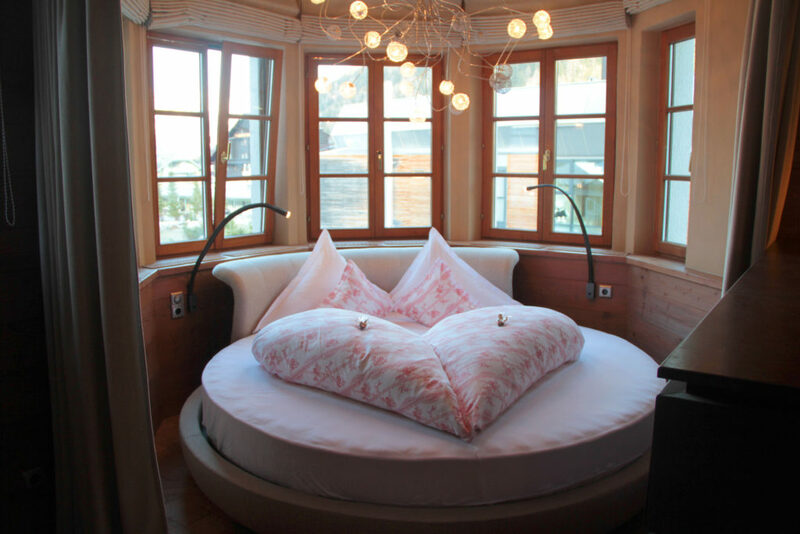 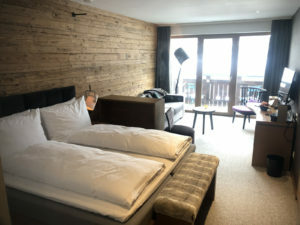 The Valluga Hotel is stylish, near the center of the ski town featuring alpine modern suites for couples or families, ours had a beautiful mountain view balcony. 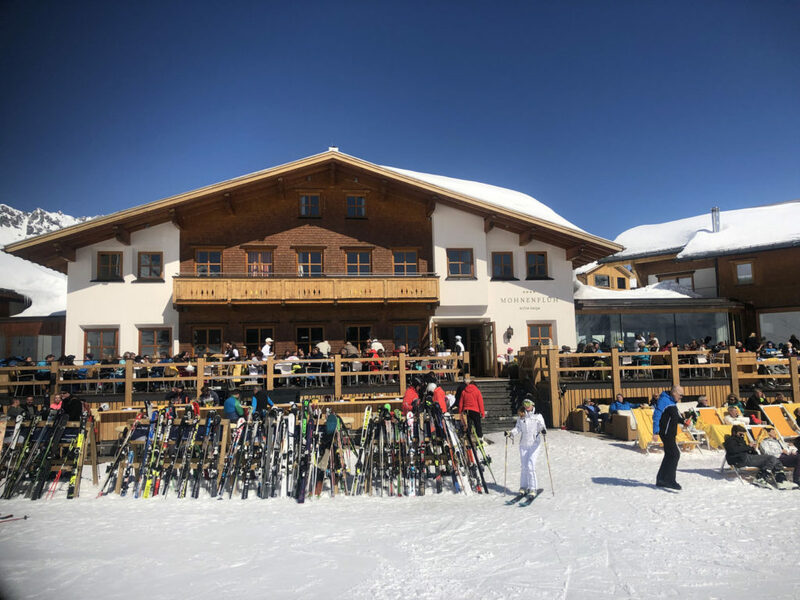 The Valluga Hotel is full service with a lower level spa, ski room, living room and game room, and excellent in hotel dining – so the half board including breakfast and dinner is excellent. 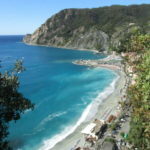 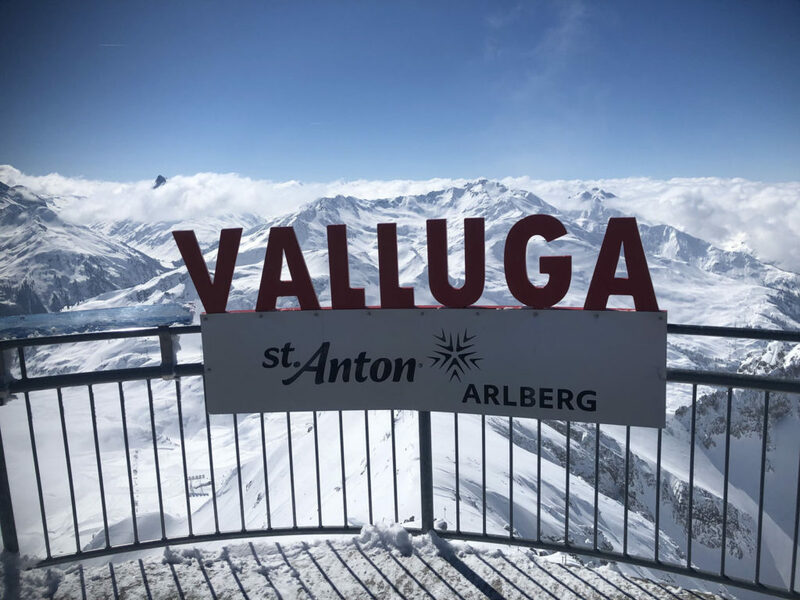 Valluga is a short walk or free complimentary hotel van to the ski lifts. 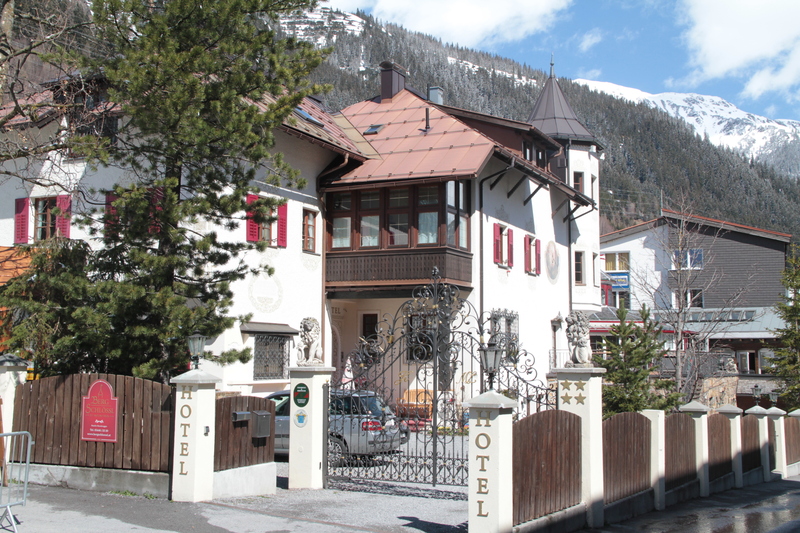 Hotel Bergschlossl is like a slope side Austrian castle, located right next to the Galzigbahn lift and ski school, in the center of the village. 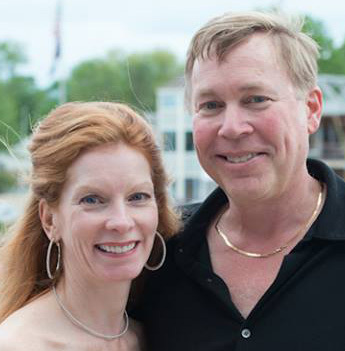 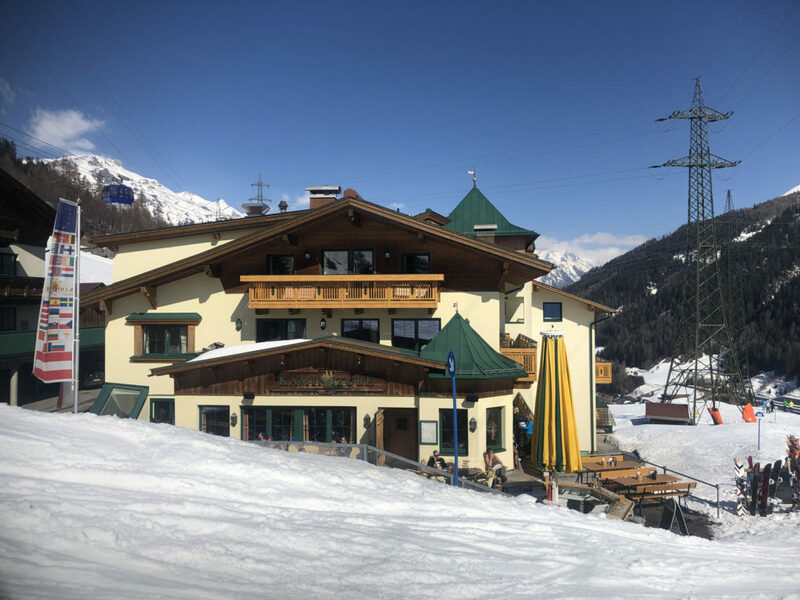 This 3rd generation family-owned, four star hotel offers all the latest amenities for couples or families, WiFi, iMac, a spa, ski room, and an extensive buffet breakfast, with Tyrolean décor. St Anton is The Cradle of Alpine Skiing, legendary ski instructor Hannes Schneider trademarked his “Arlberg ski technique” here (later known as the Stem Christie) before bringing it to Cranmore in the US in the 1930s. 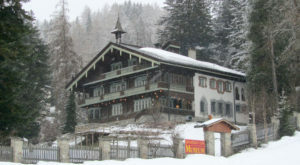 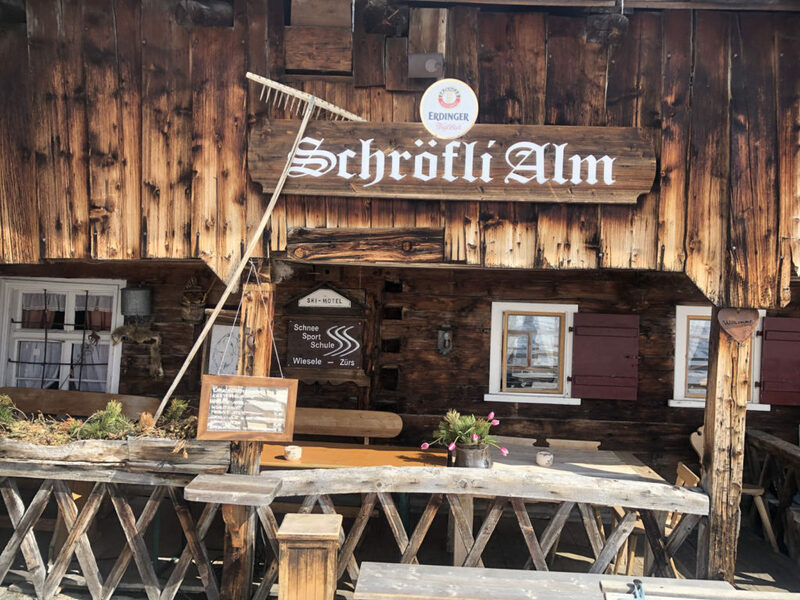 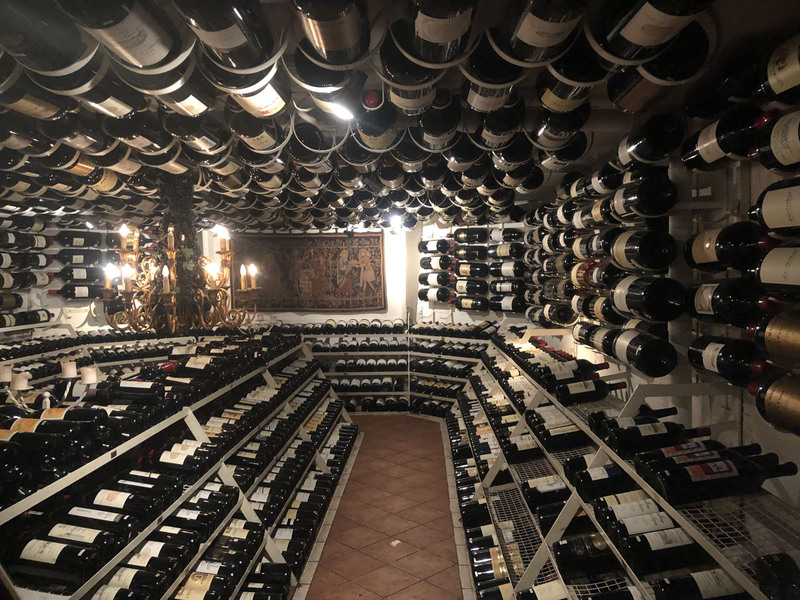 Be sure to visit the St Anton Ski Museum to learn the lore and legend of skiing here since 1901, and dine in this beautiful 1912 chalet as well. 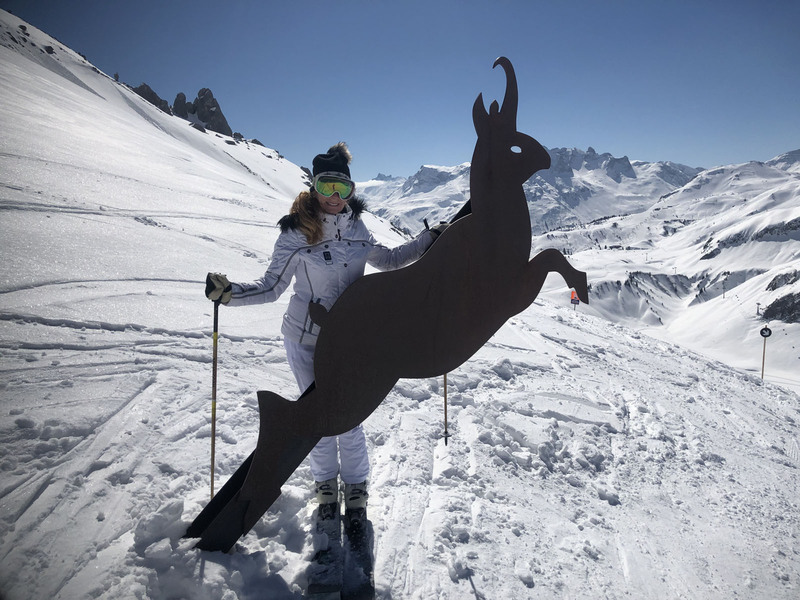 Also go to the Ski Show on Wednesday night for an illuminated showcase of the evolution of skiing in St Anton with stunts performed by the ski school and fireworks. 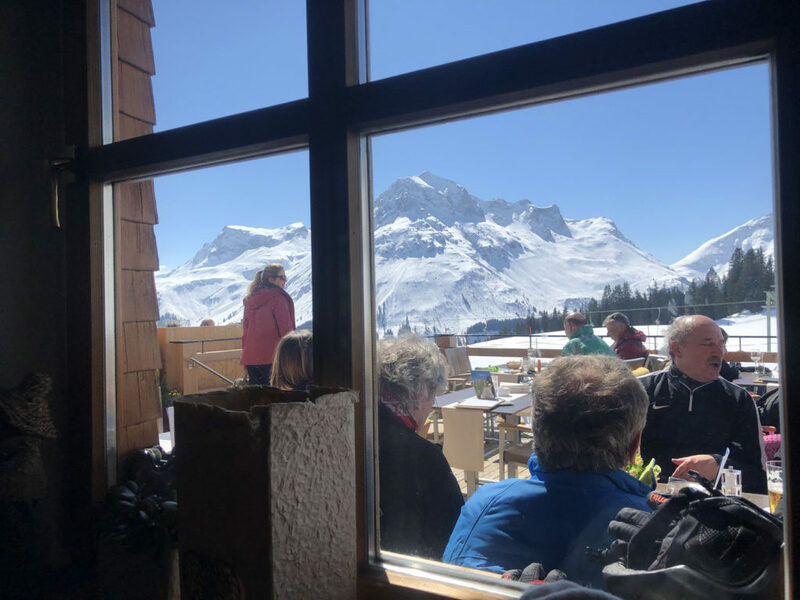 It’s free, but the VIP tickets in the Karl Schranz stadium are worth it for a rooftop view, drinks and appetizers before and during the show. 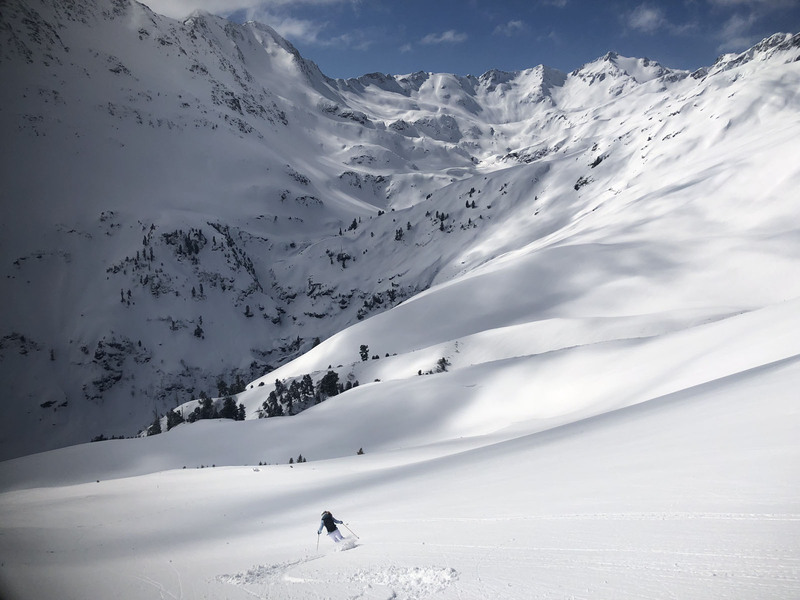 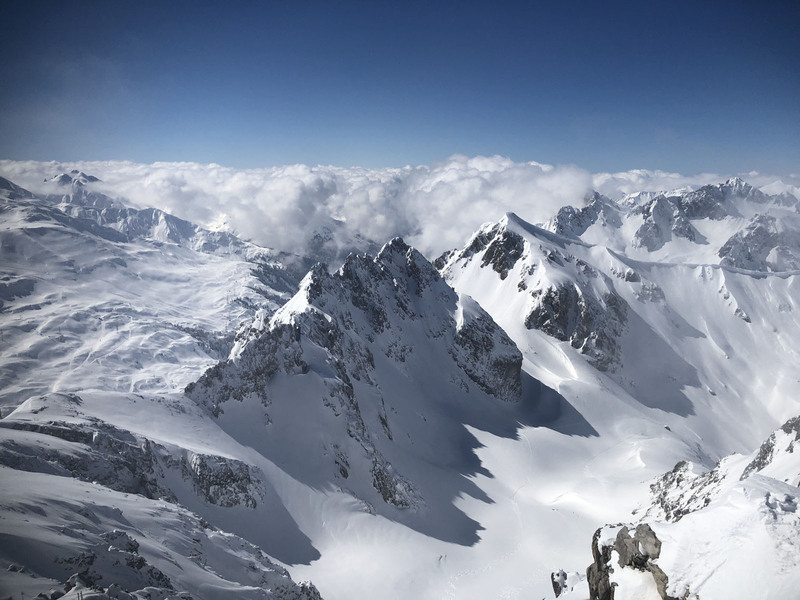 St Anton is in western Austria, linking the provinces of Voralberg and Tyrol, in the Arlberg region noted for big snow and frequent sunshine on the high alpine plateau. 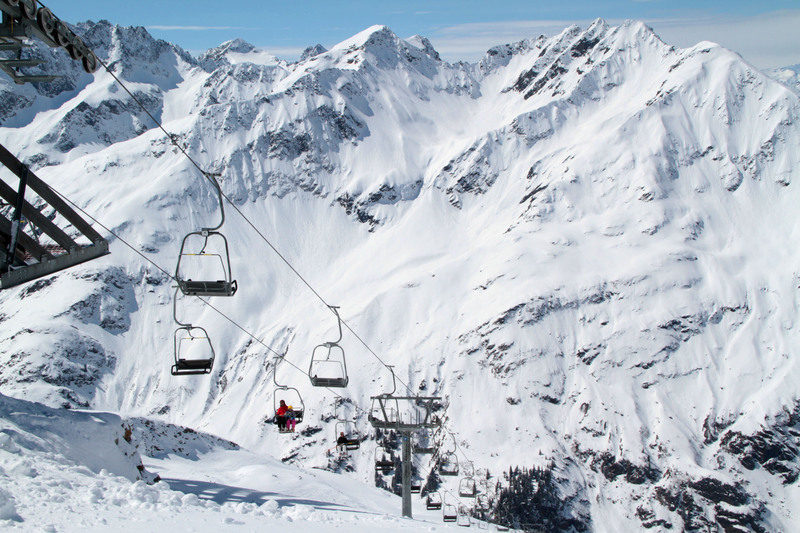 St Anton am Arlberg is near more great Austria skiing in Ischgl Paznaun, and Serfaus Fiss Ladis, 100 kilometers from Innsbruck, 200 from Zurich.